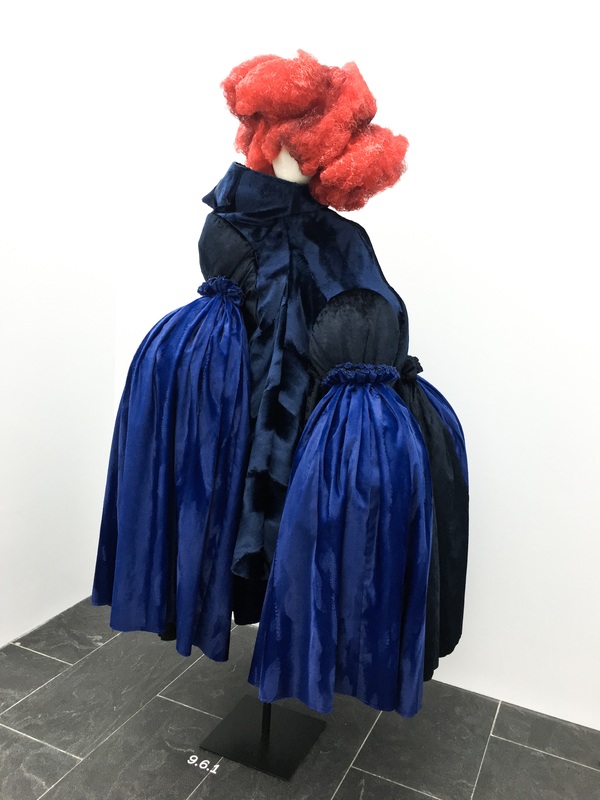 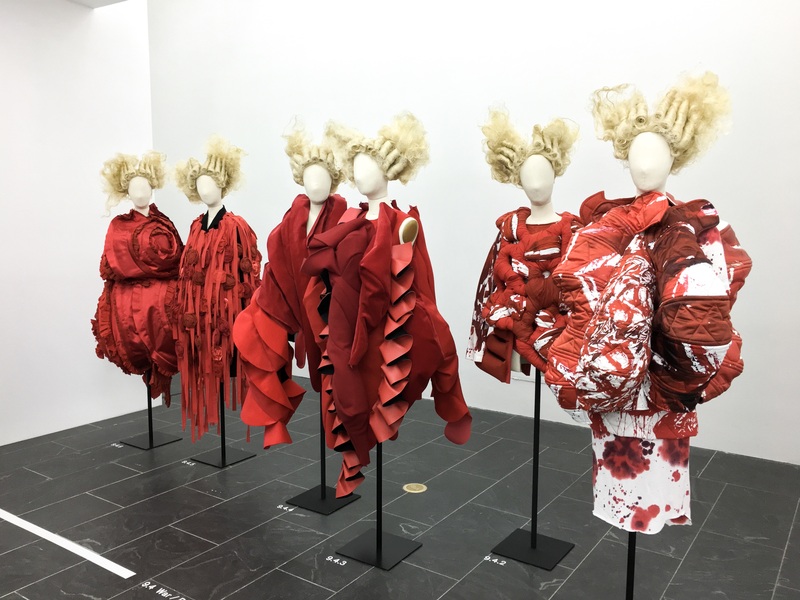 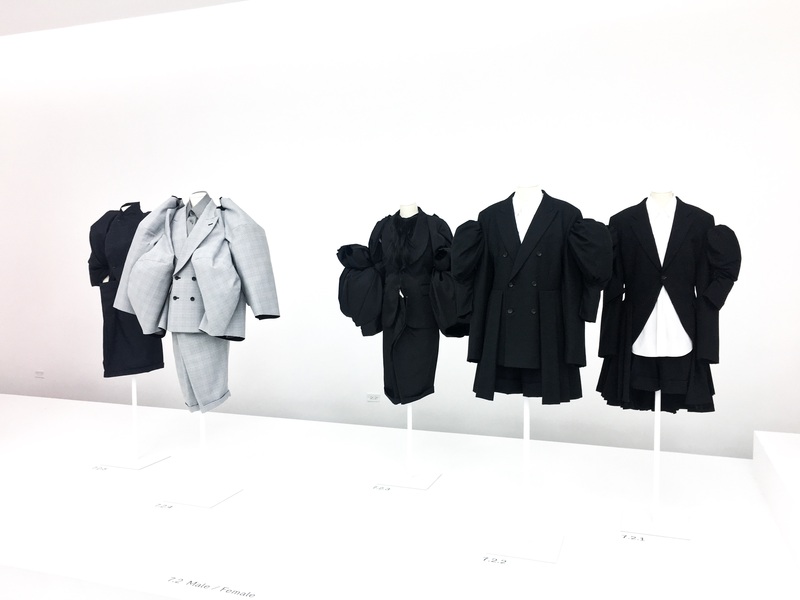 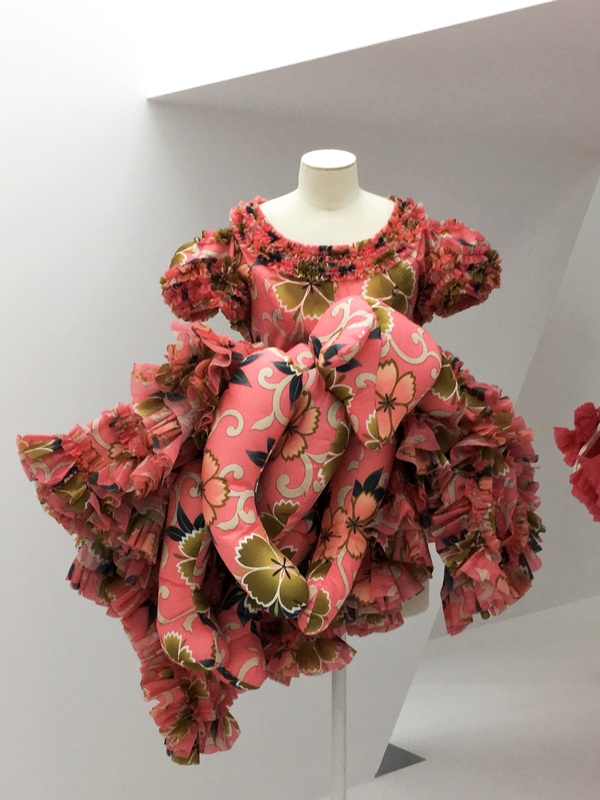 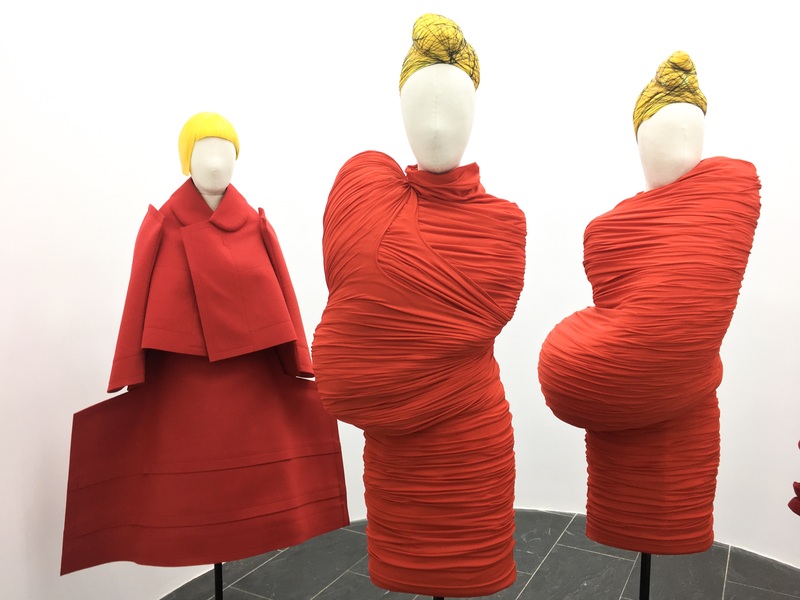 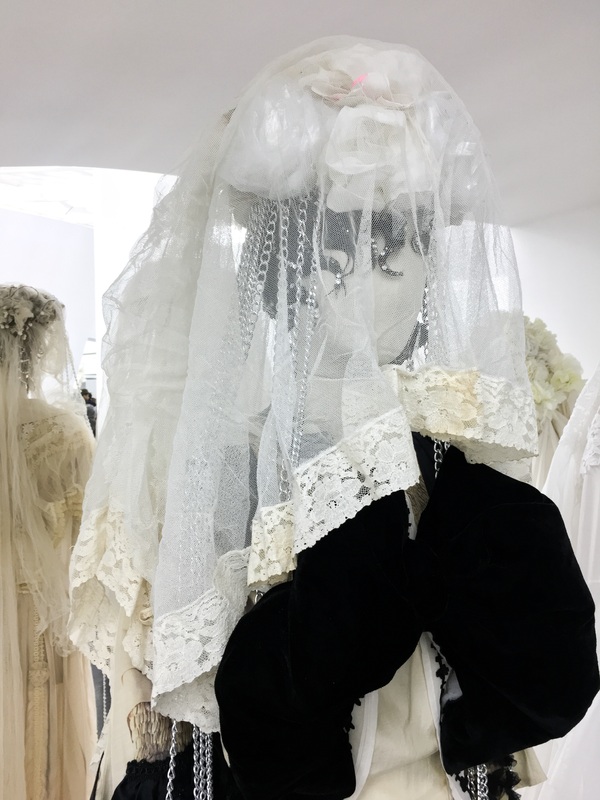 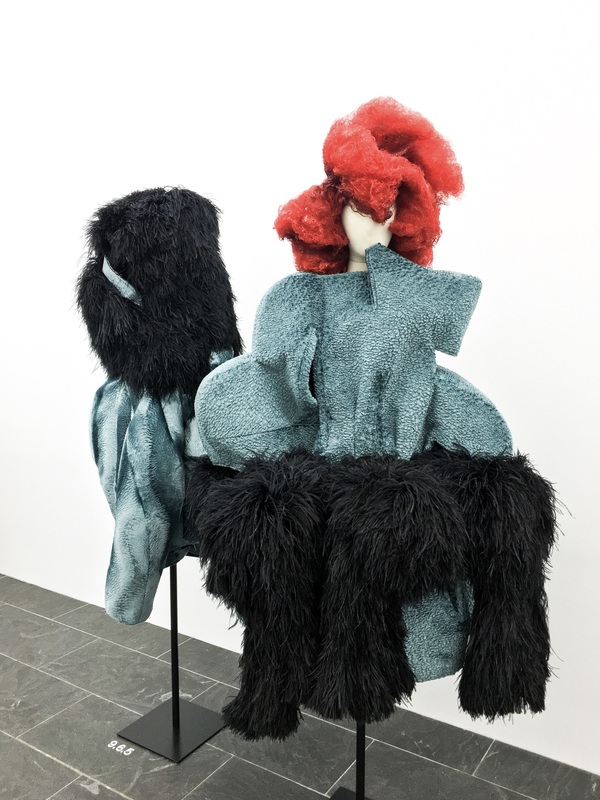 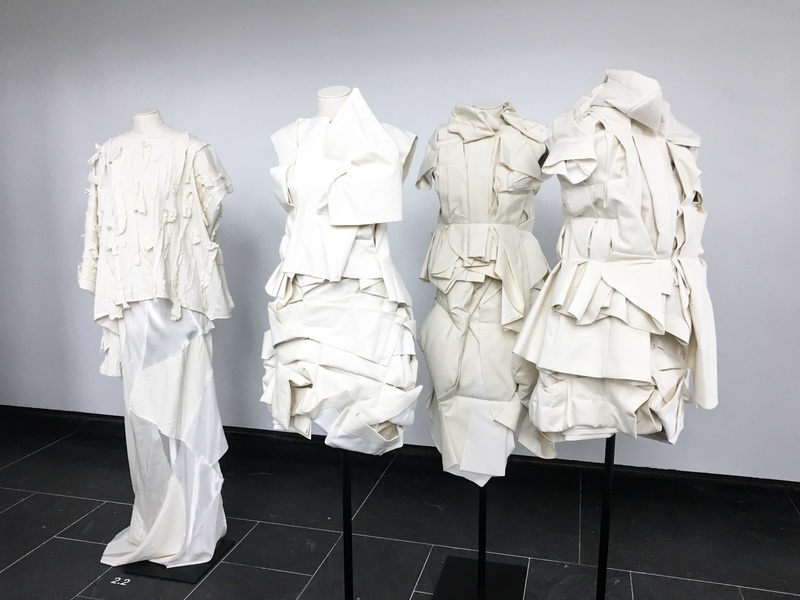 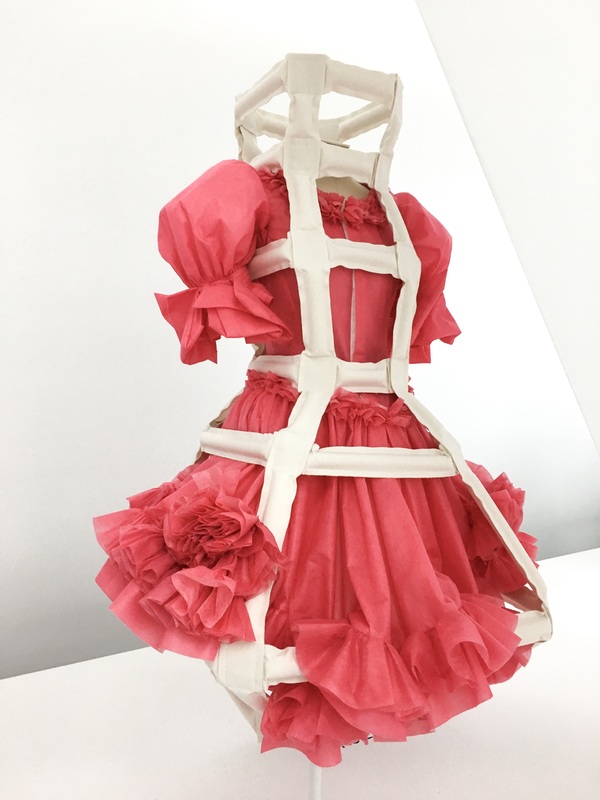 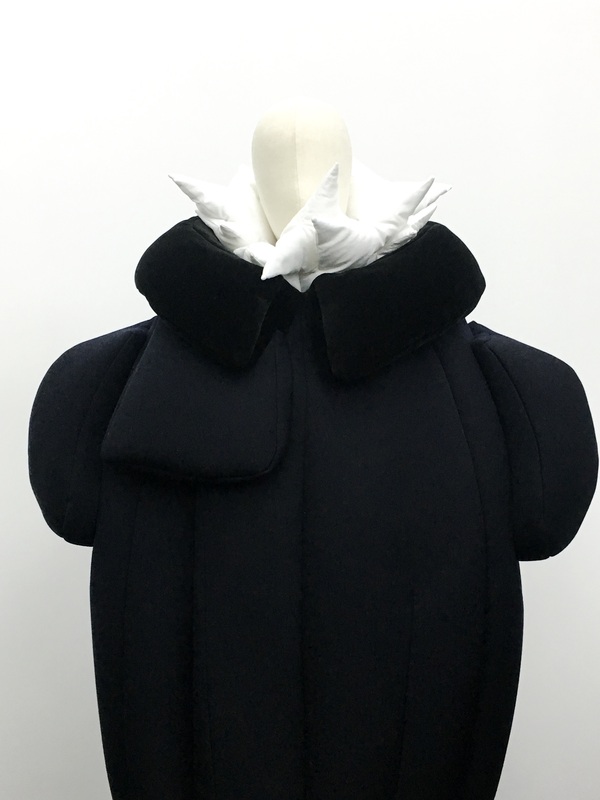 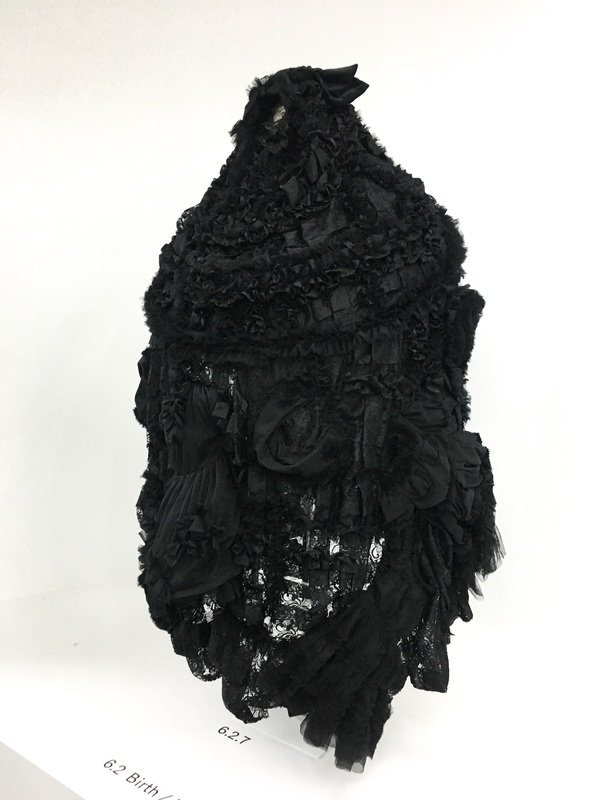 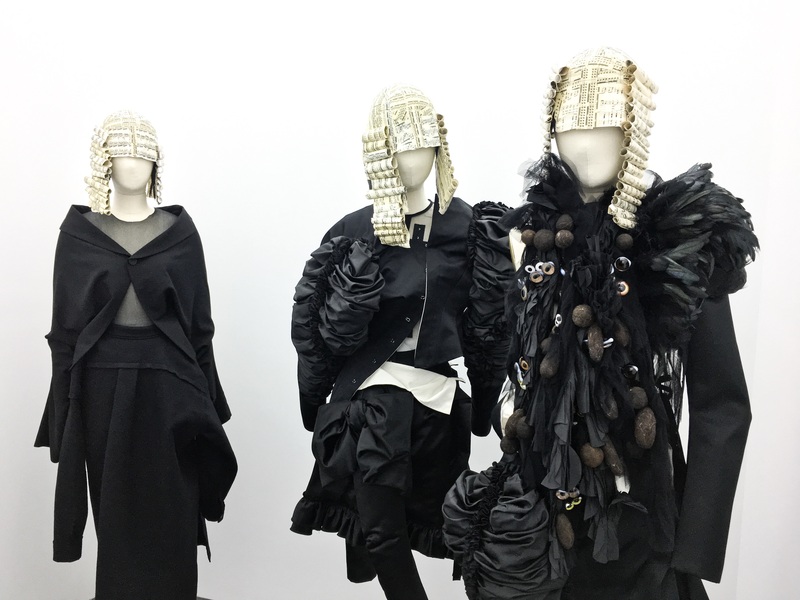 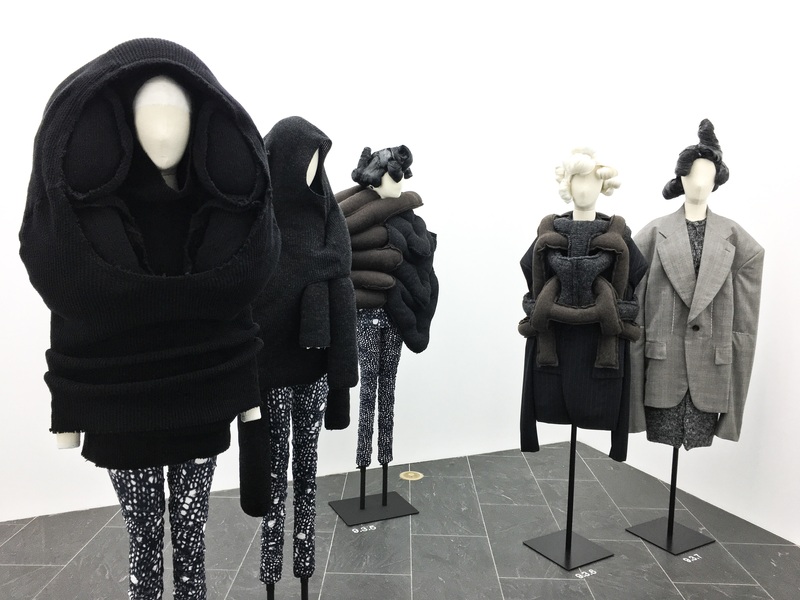 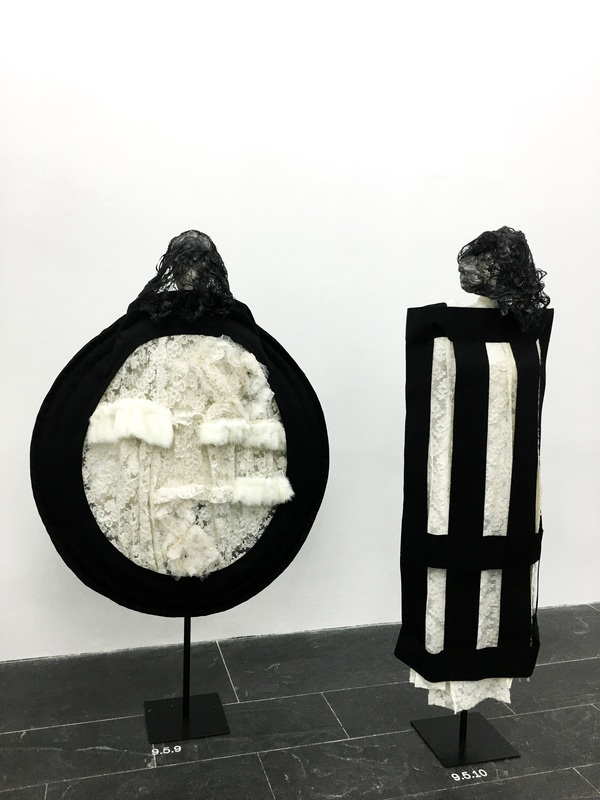 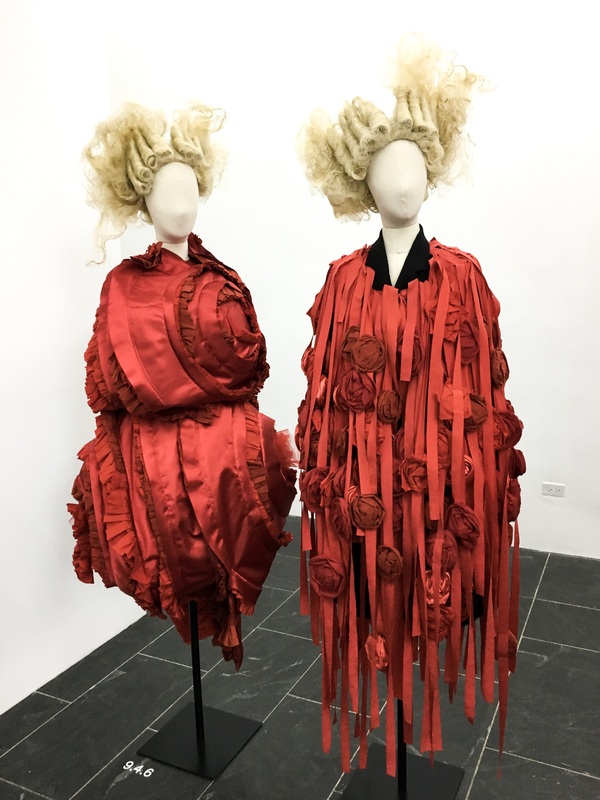 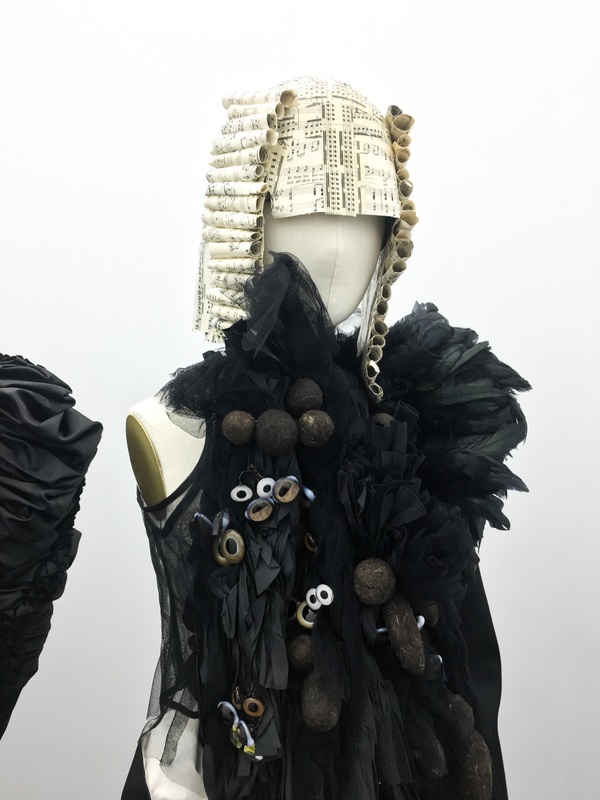 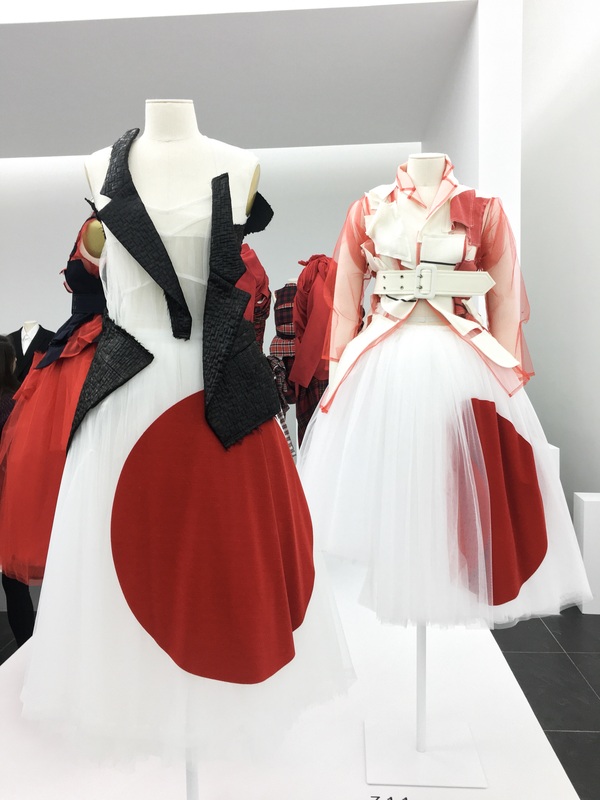 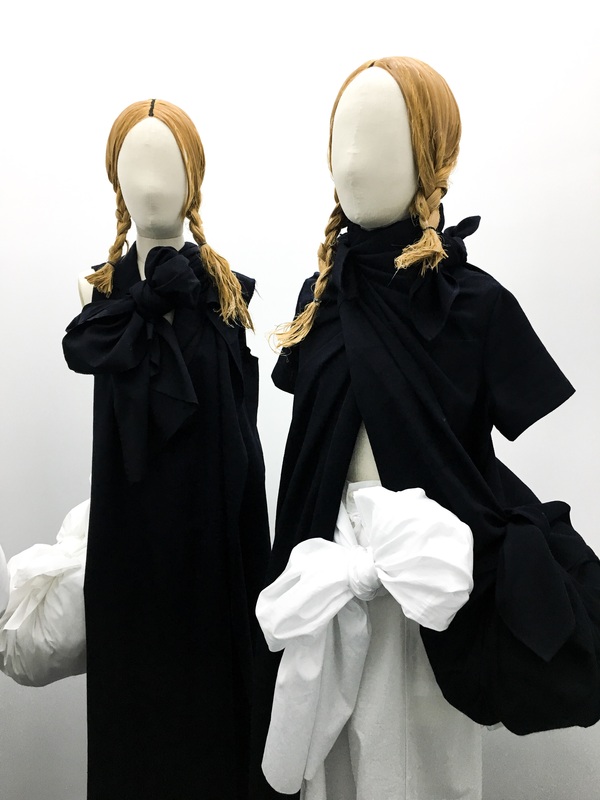 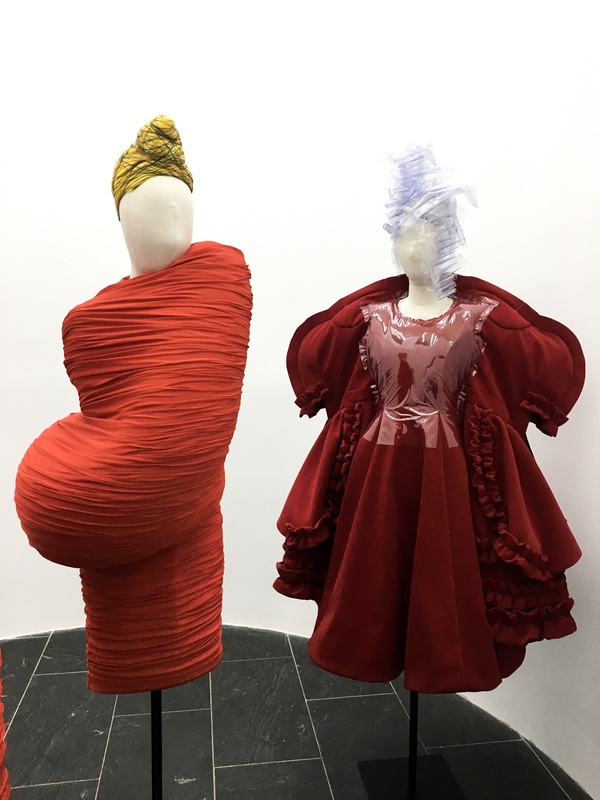 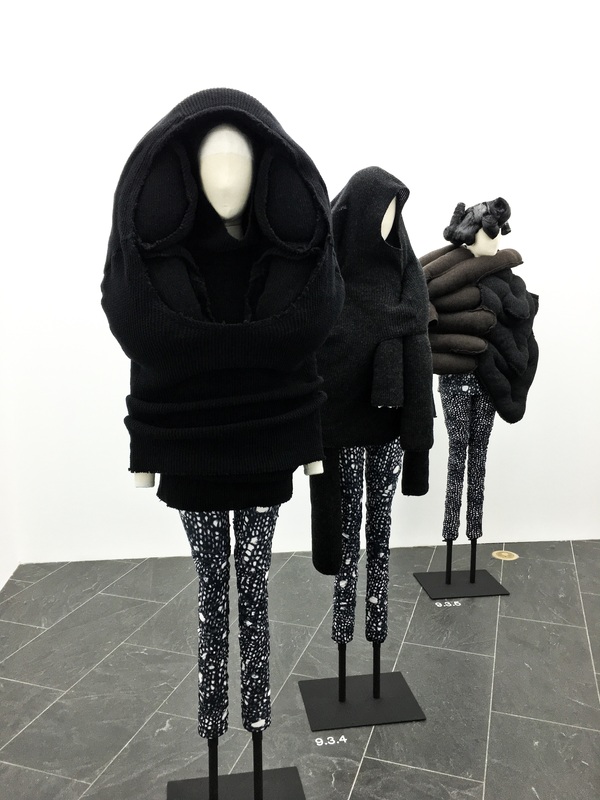 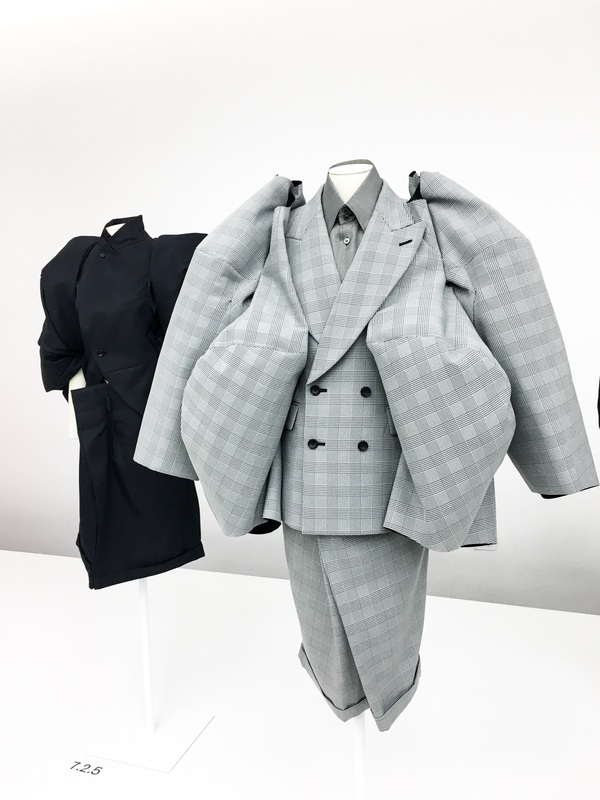 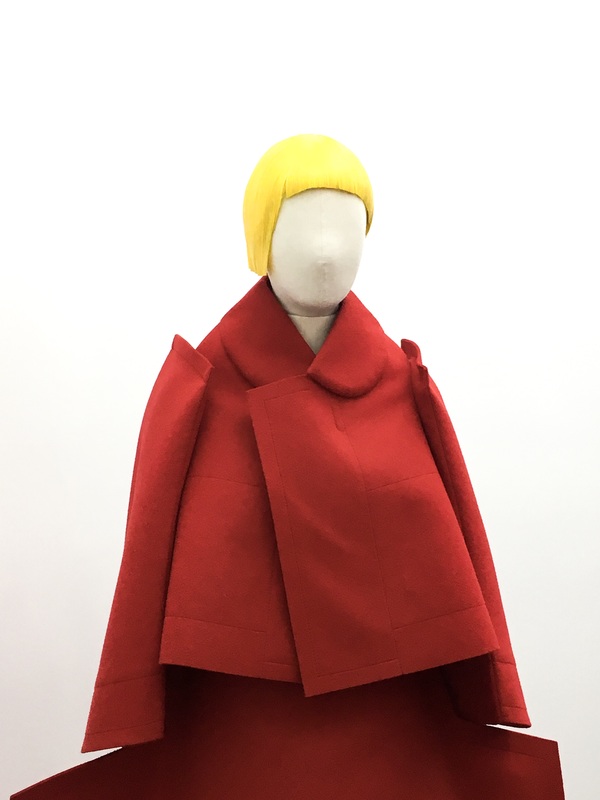 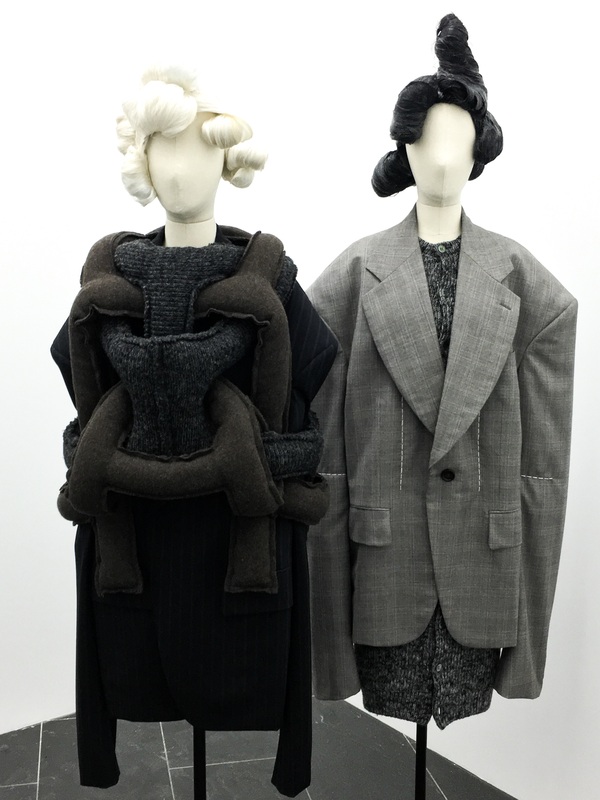 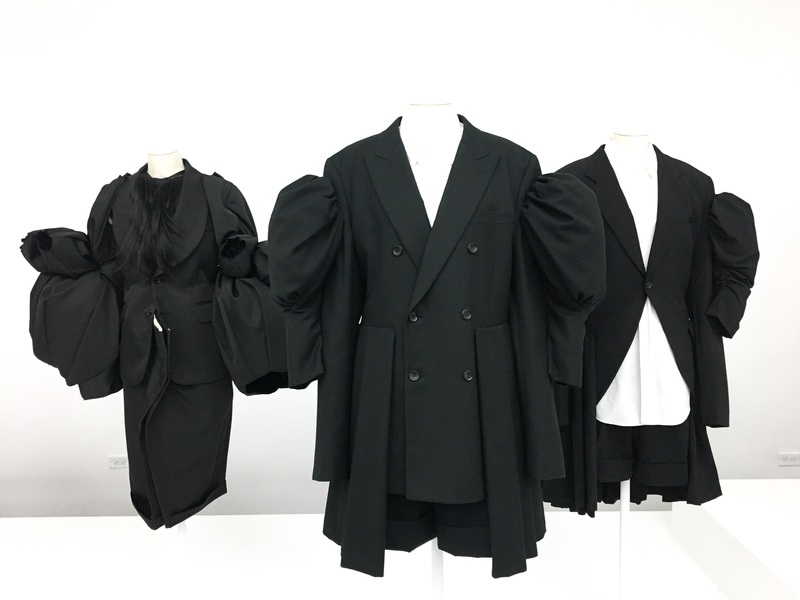 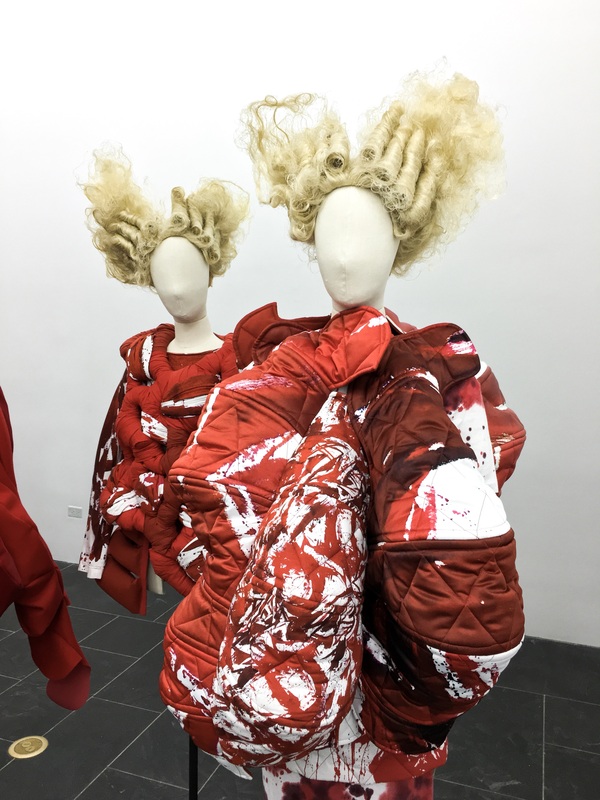 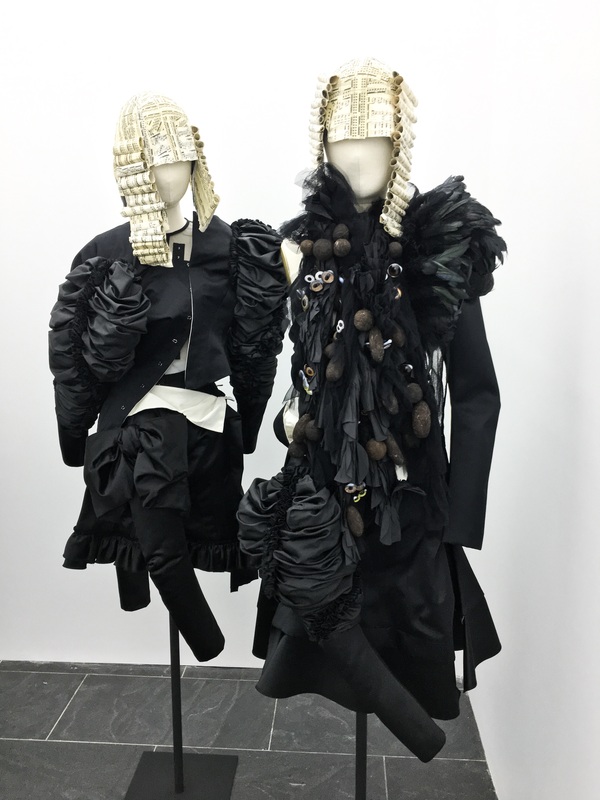 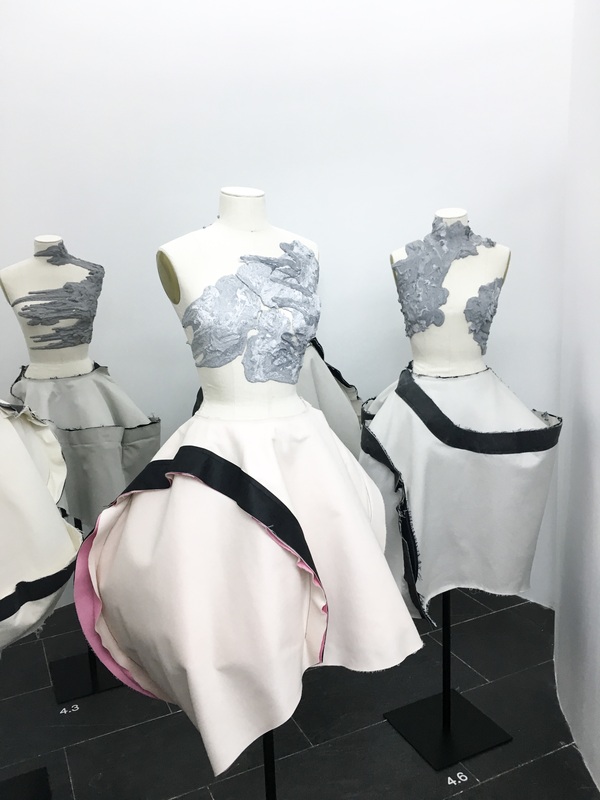 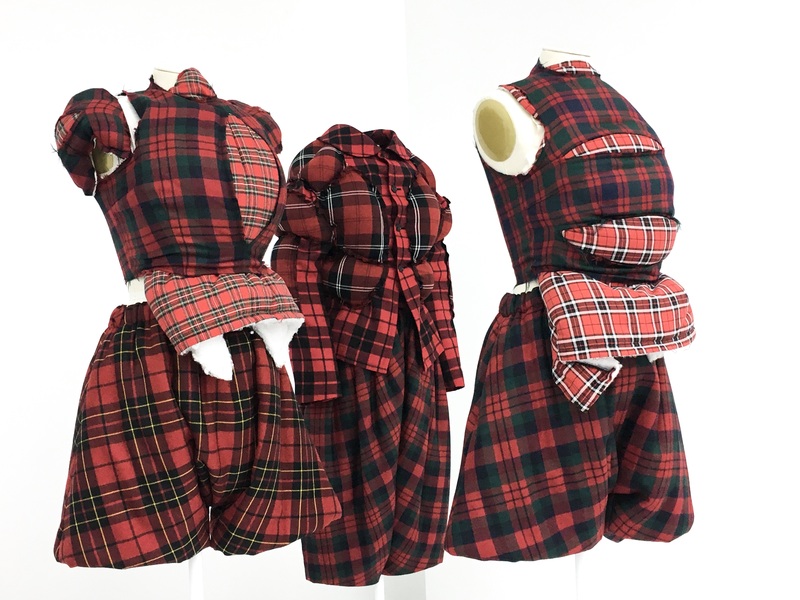 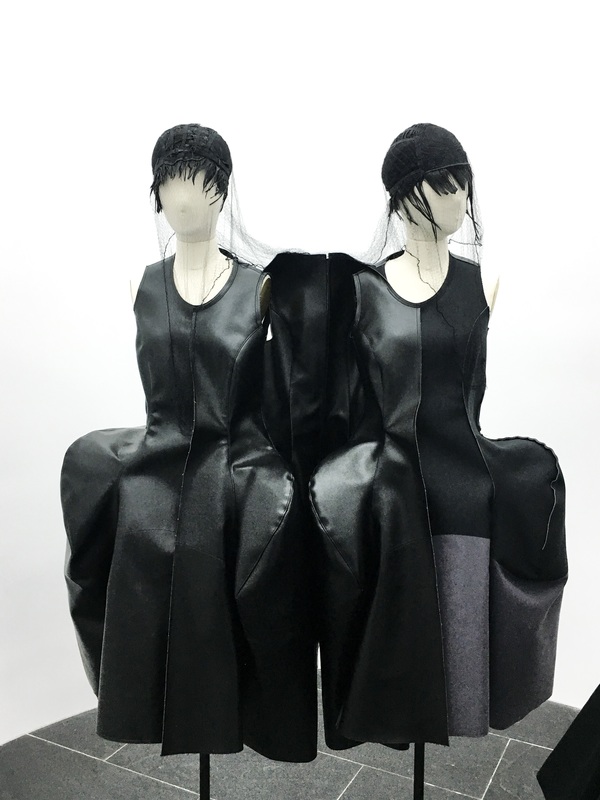 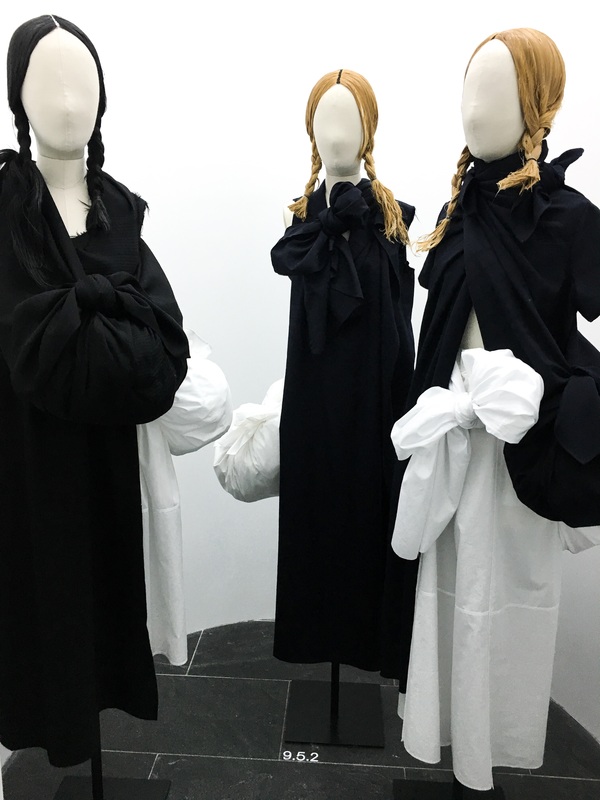 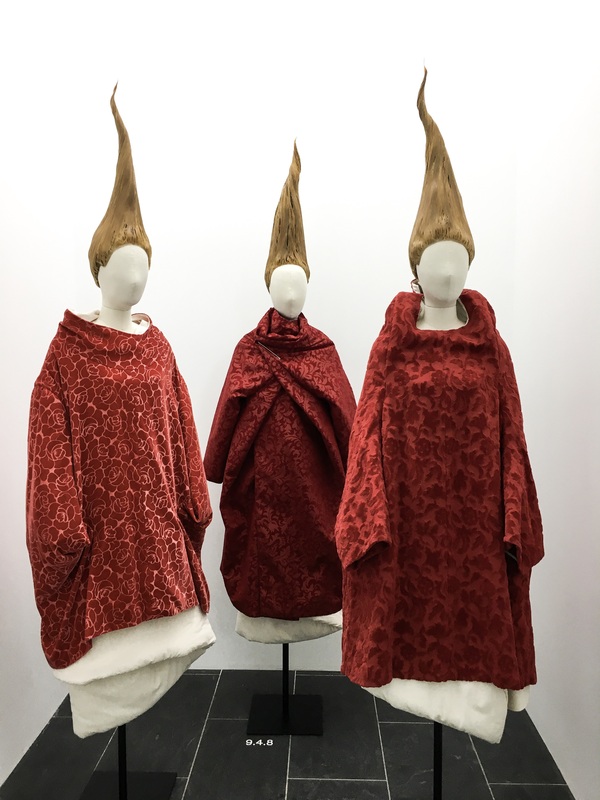 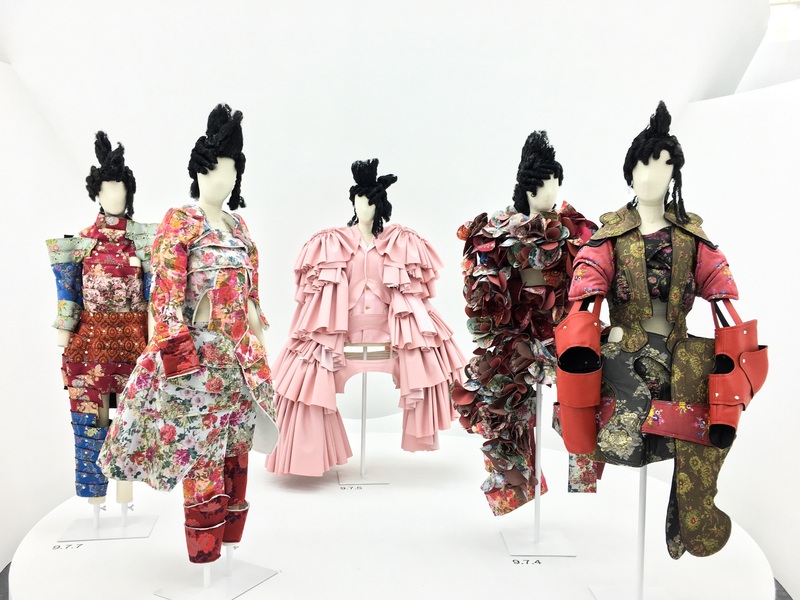 Since founding Comme des Garçons (“like some boys”) in 1969, the Tokyo-based designer Rei Kawakubo (born 1942) has consistently defined and redefined the aesthetics of our time. 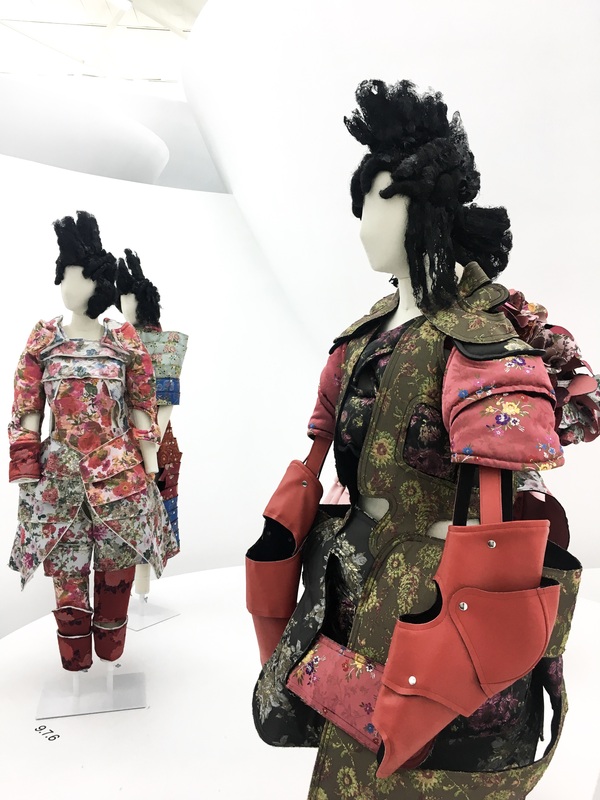 Season after season, collection after collection, she upends conventional notions of beauty and disrupts accepted characteristics of the fashionable body. 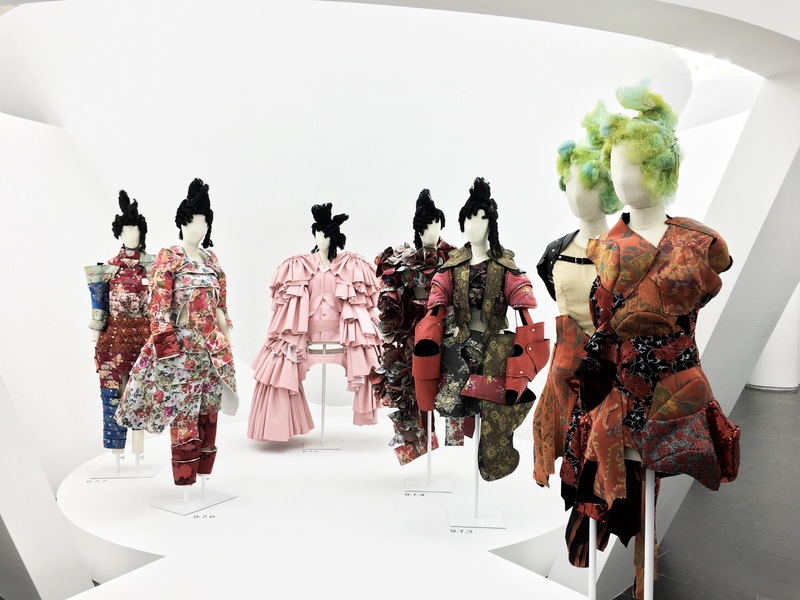 Her fashions not only stand apart from the genealogy of clothing but also resist definition and confound interpretation. 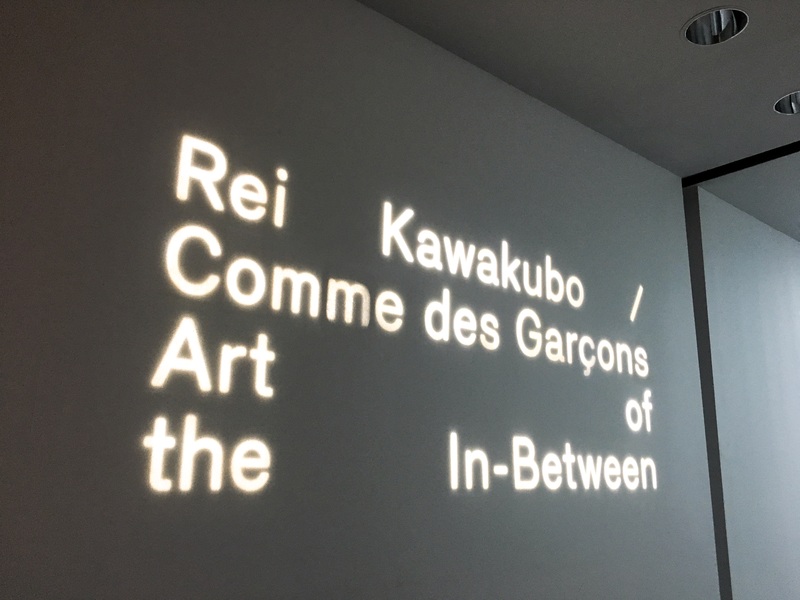 They can be read as Zen koans or riddles devised to baffle, bemuse, and bewilder. 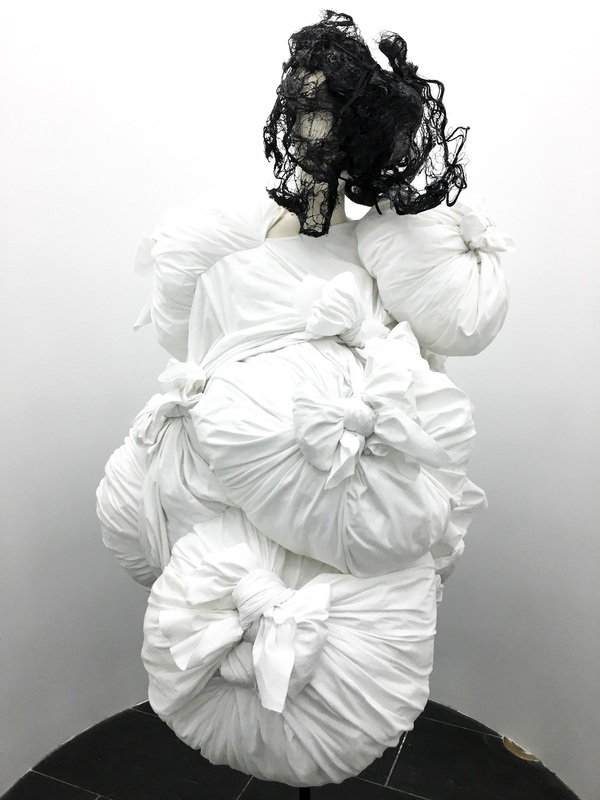 At the heart of her work are the koan mu (emptiness) and the related notion of ma (space), which coexist in the concept of the “in-between.” This reveals itself as an aesthetic sensibility that establishes an unsettling zone of visual ambiguity and elusiveness. 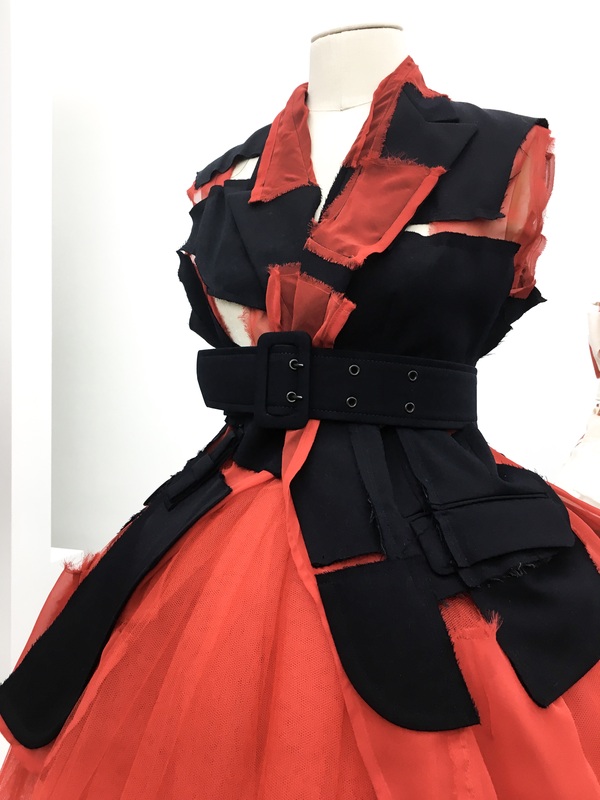 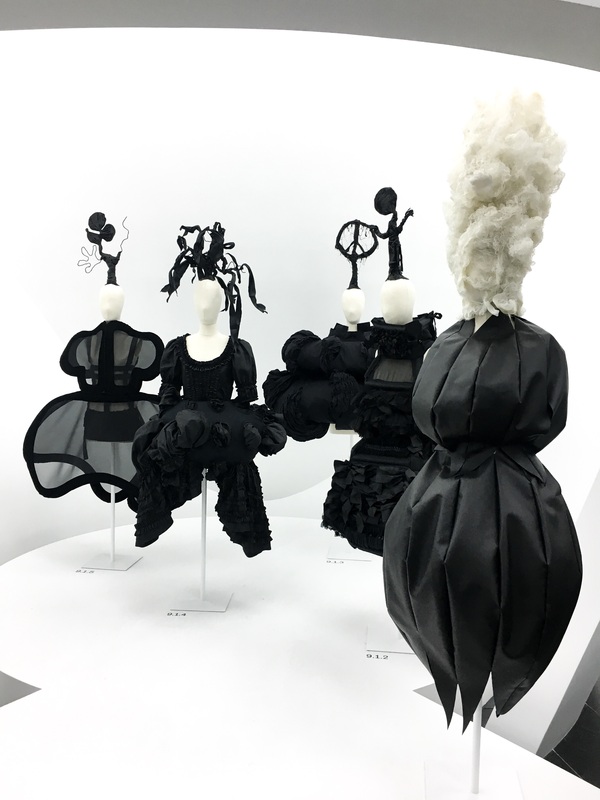 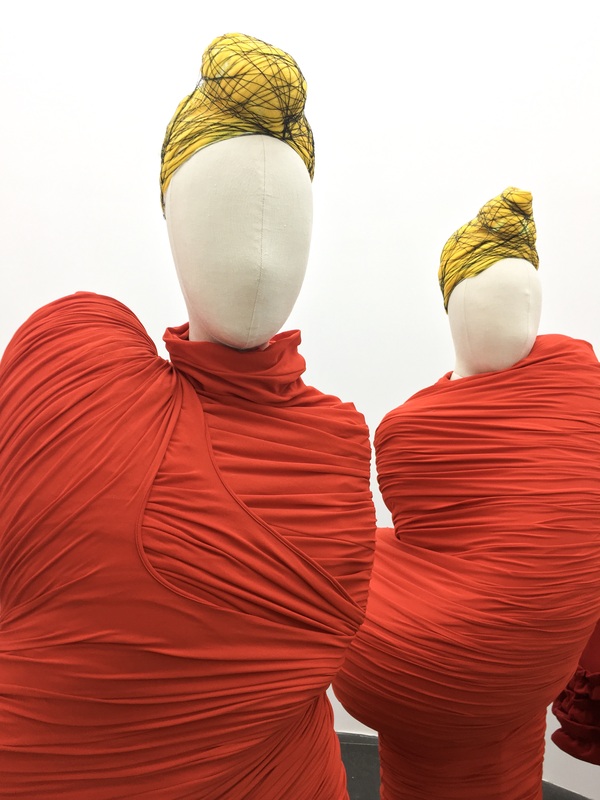 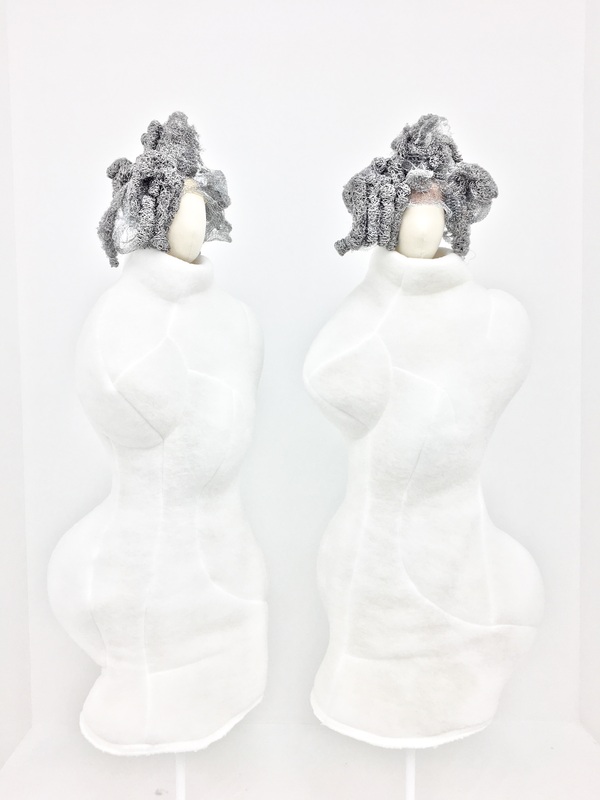 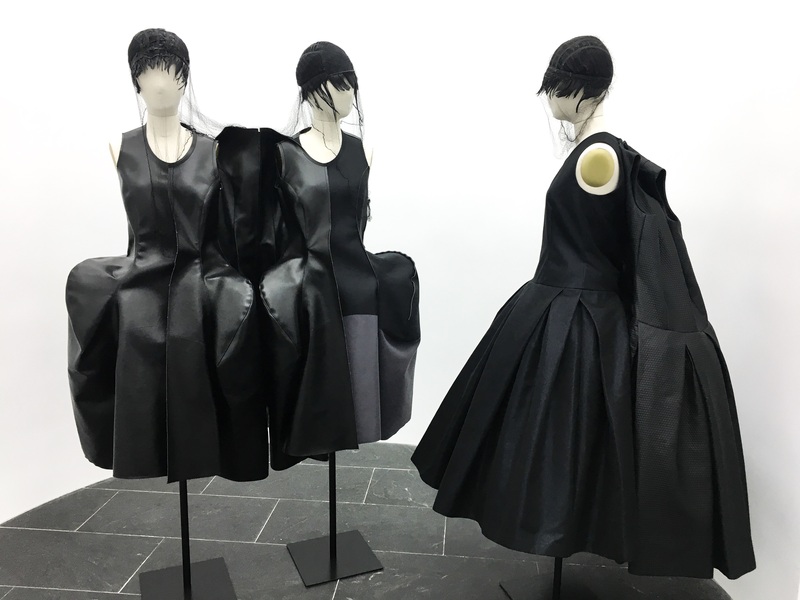 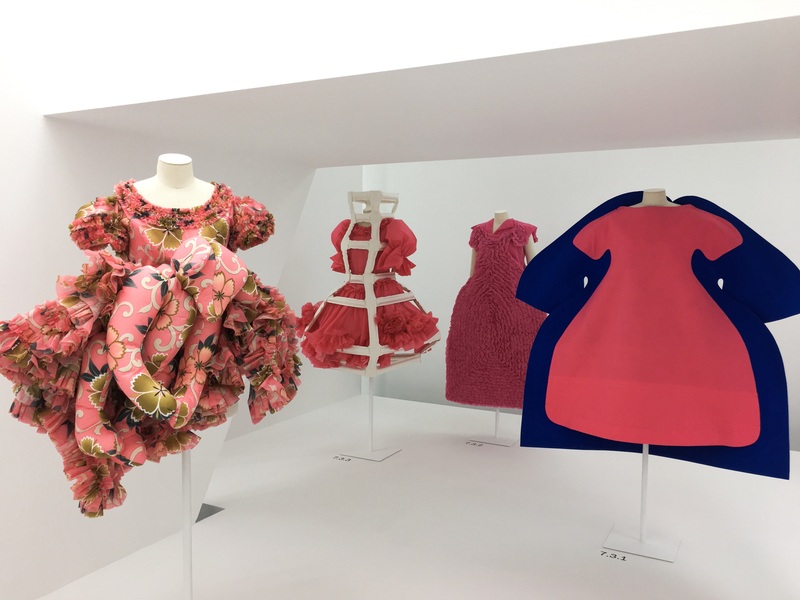 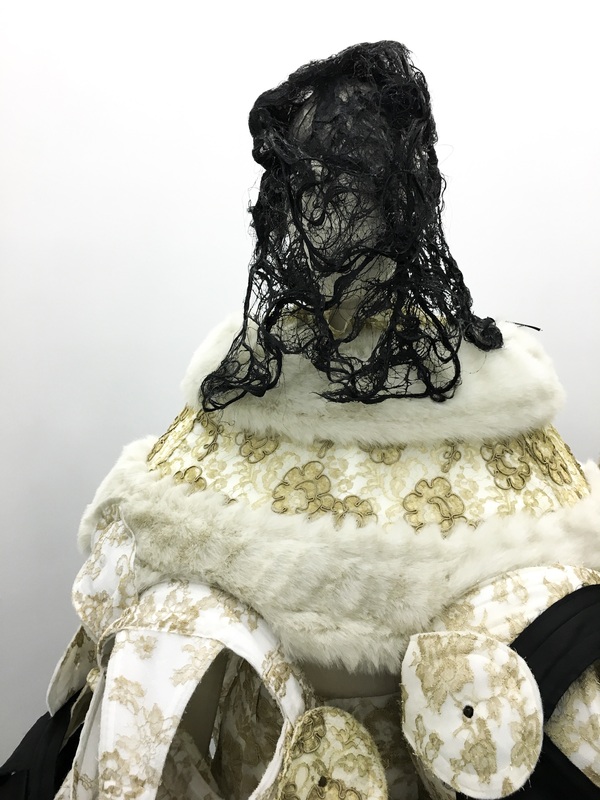 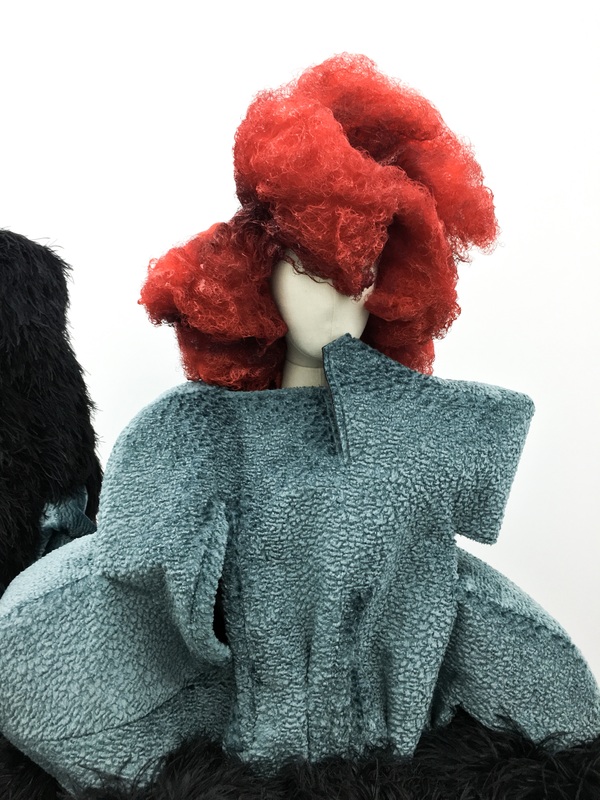 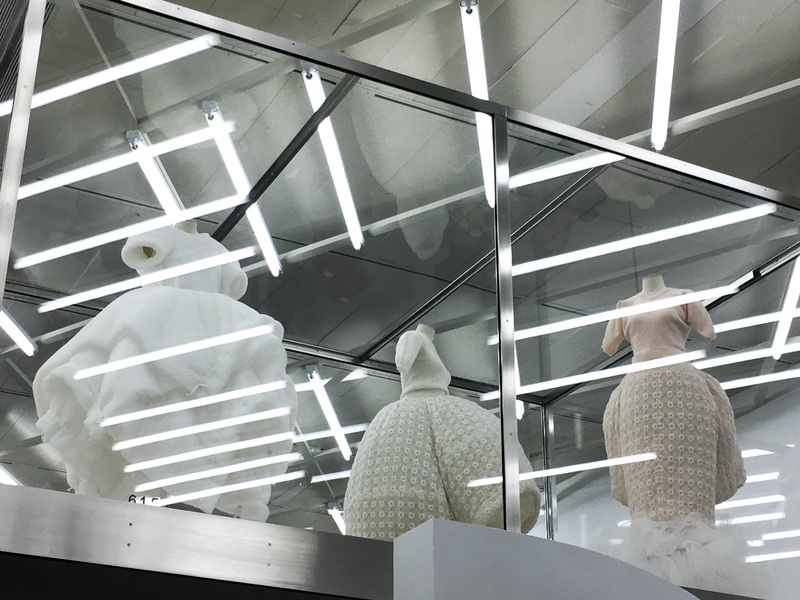 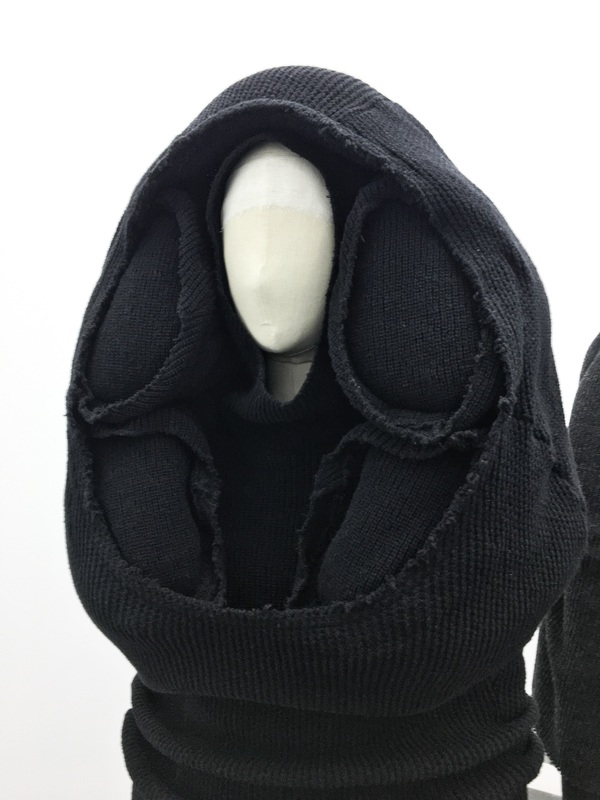 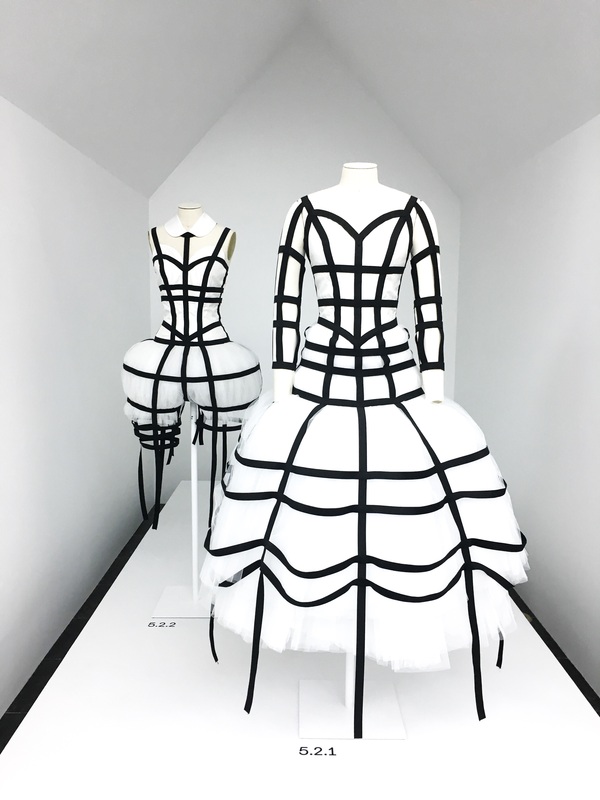 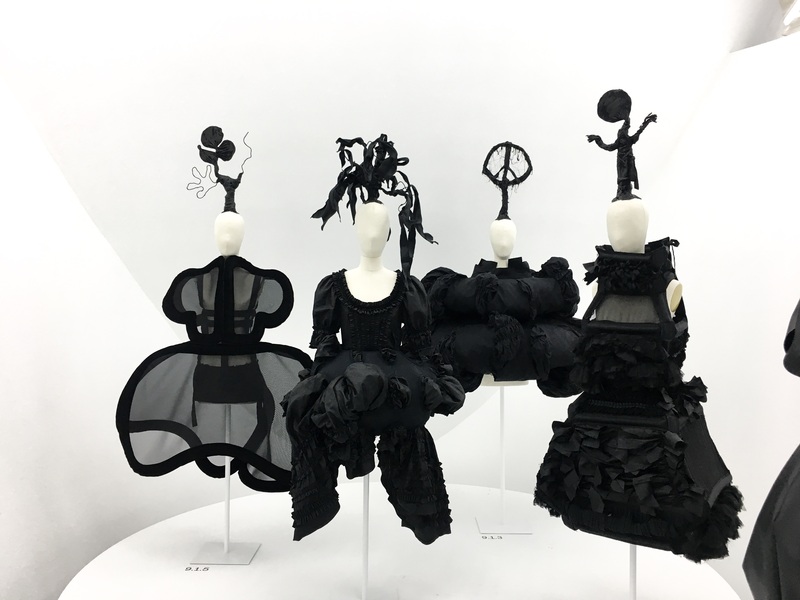 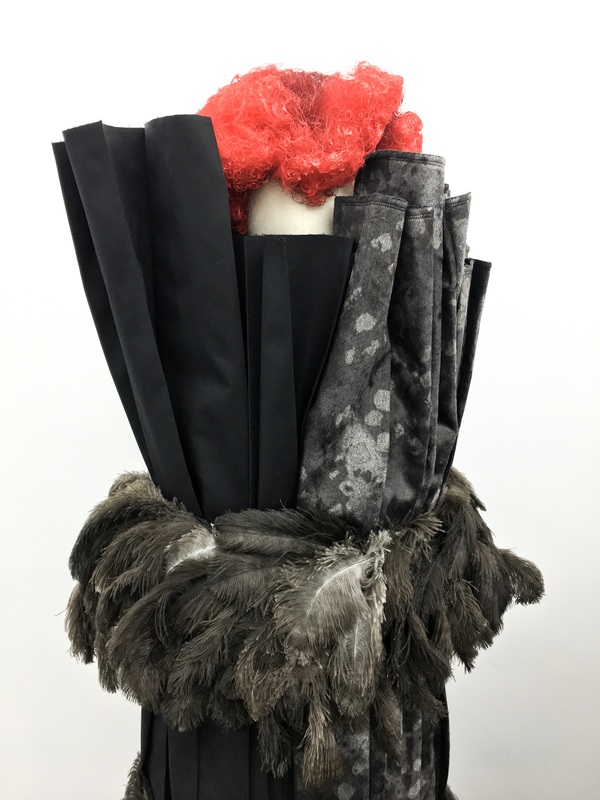 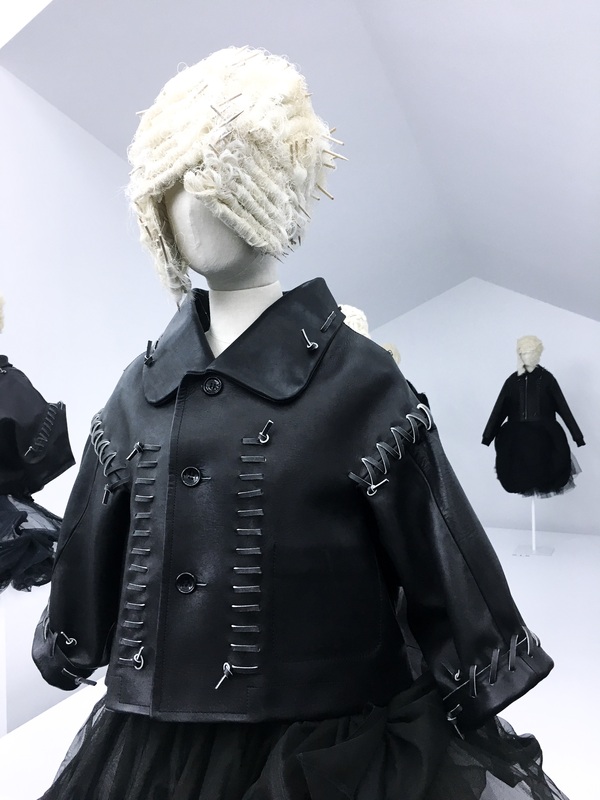 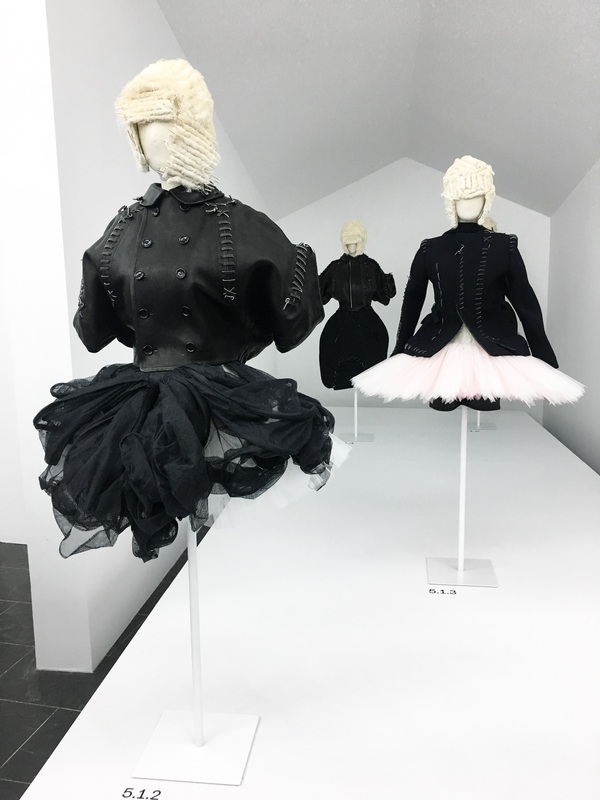 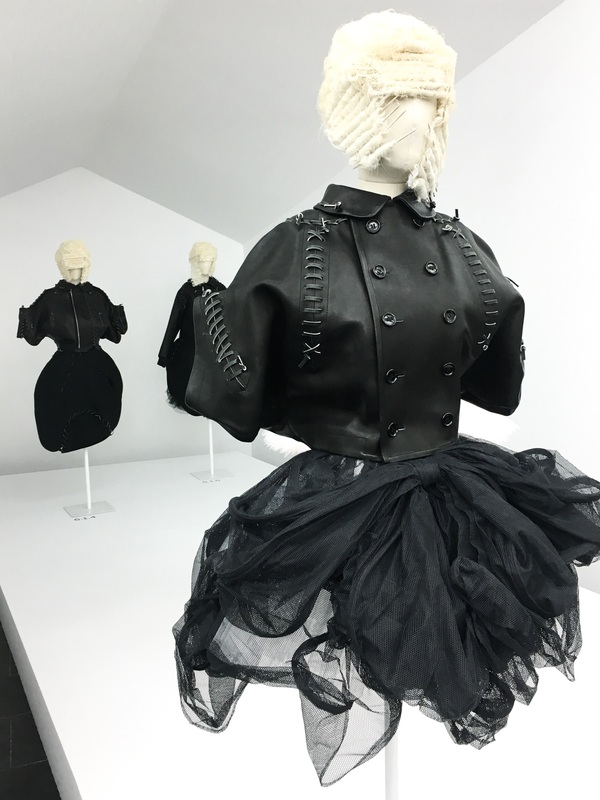 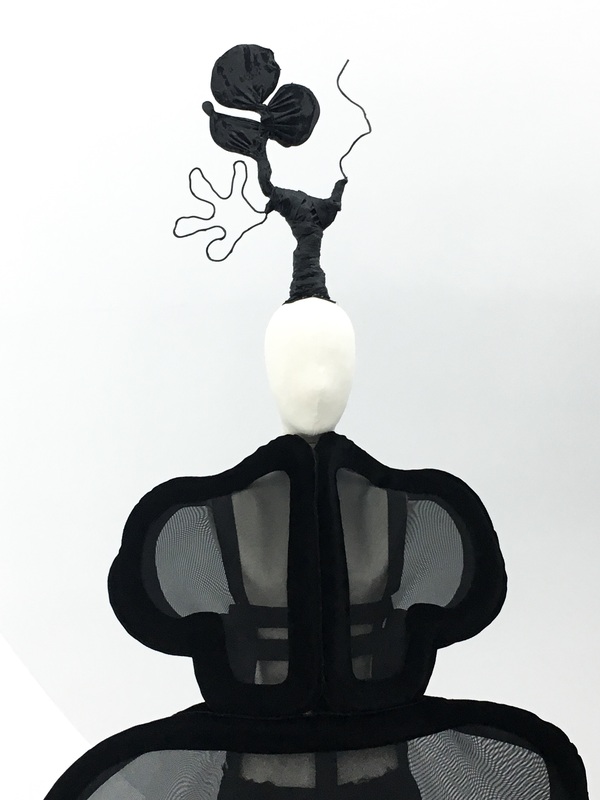 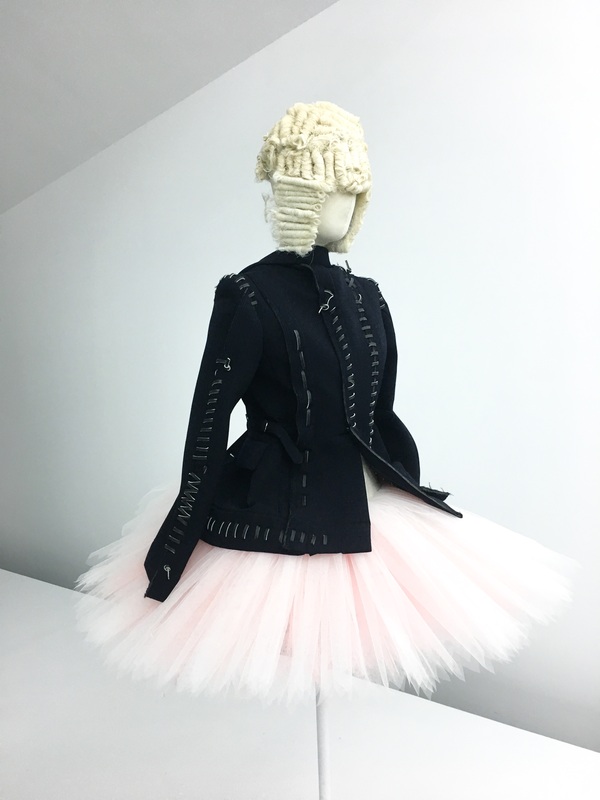 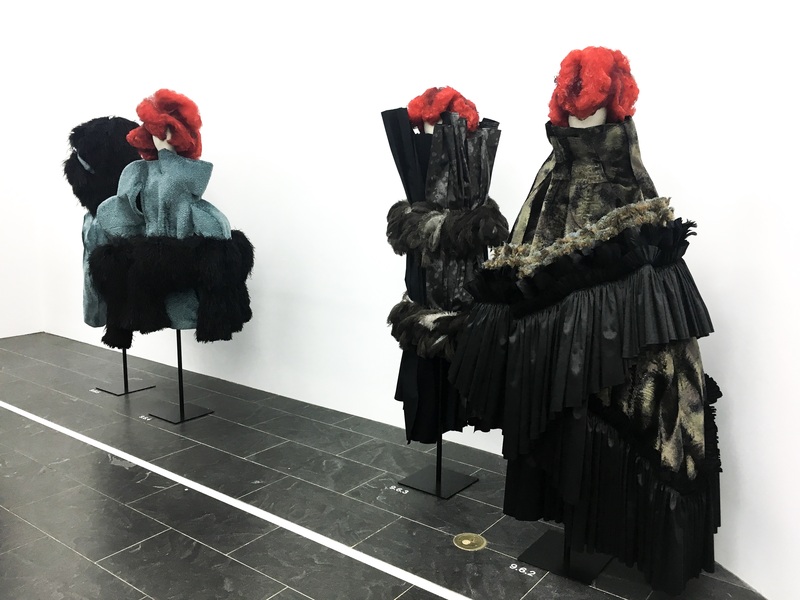 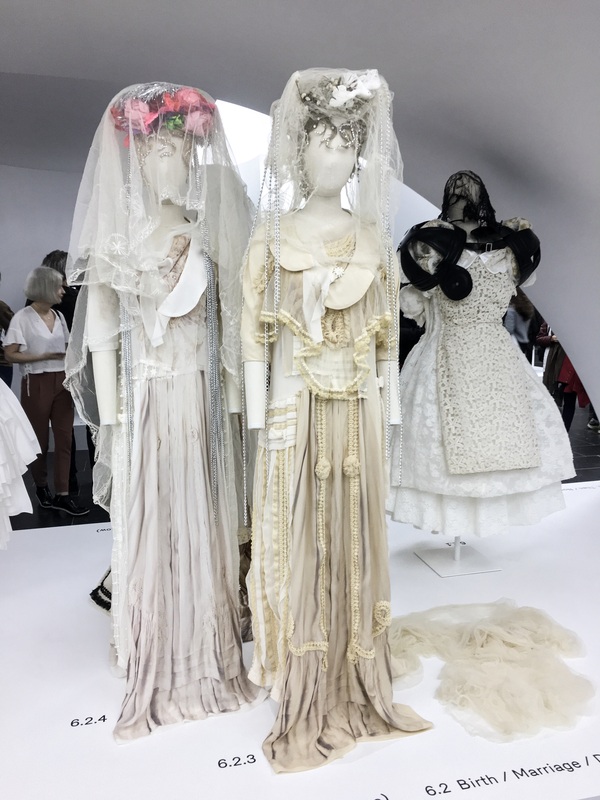 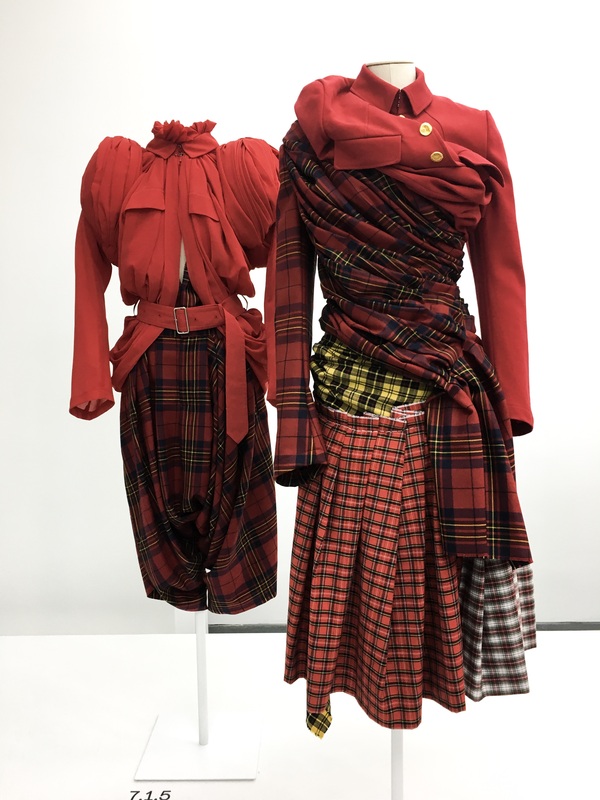 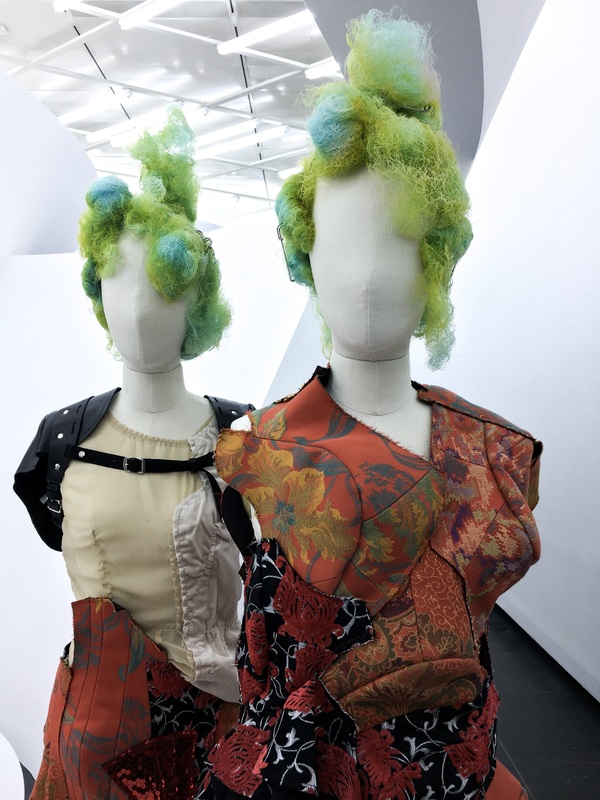 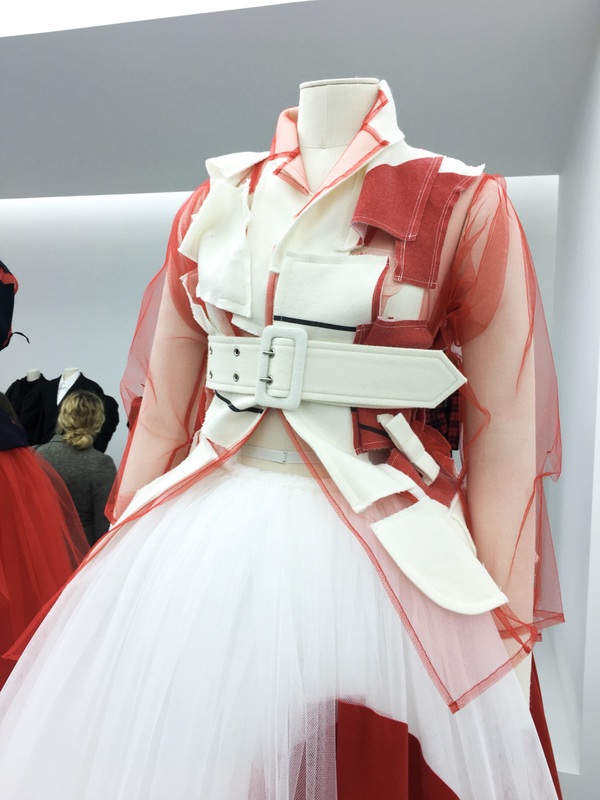 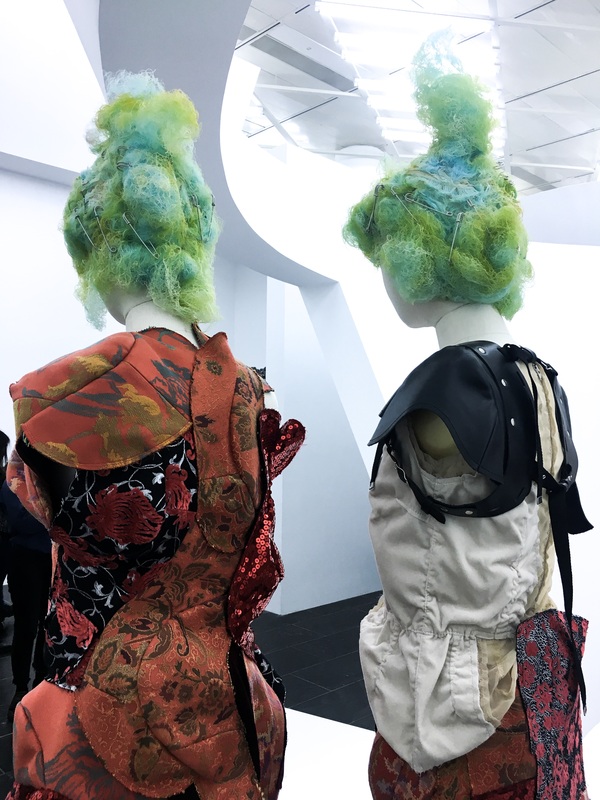 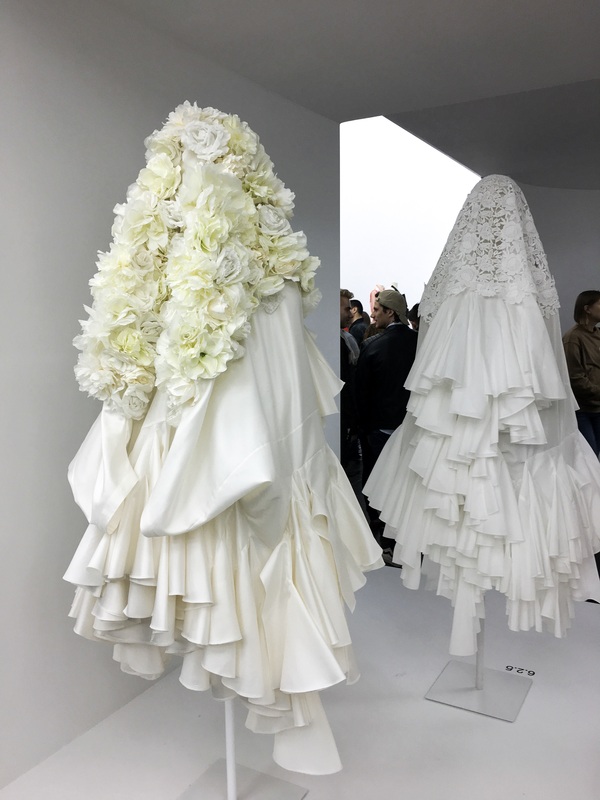 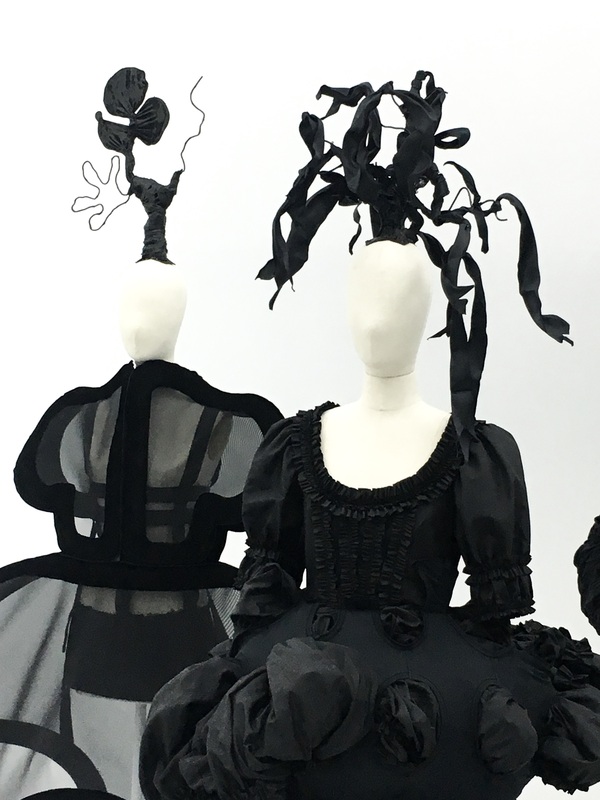 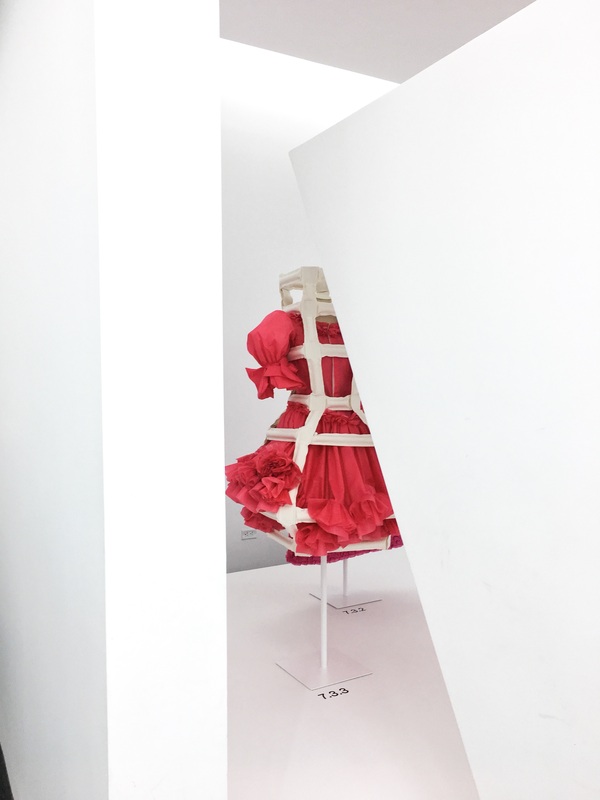 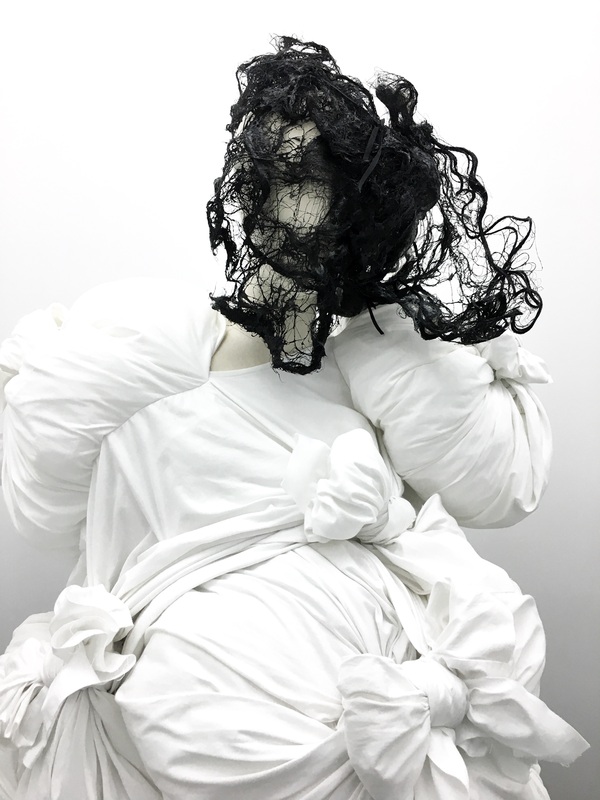 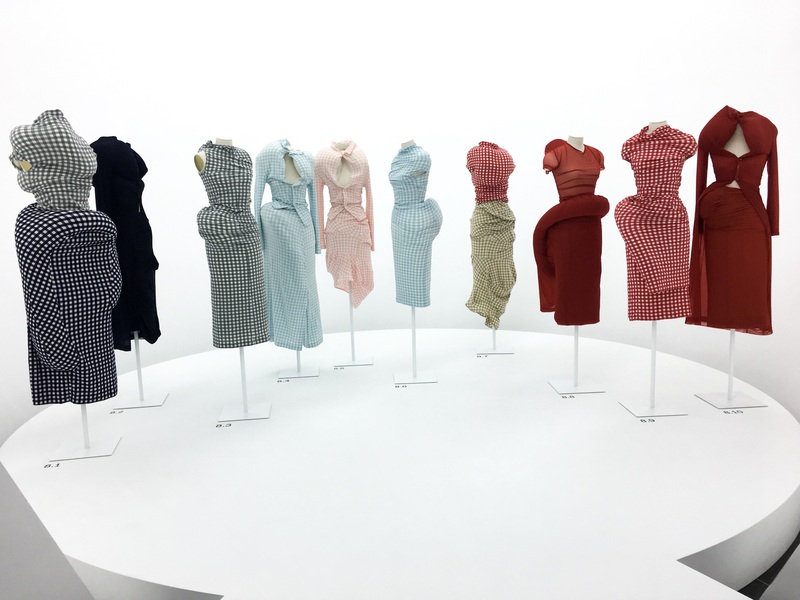 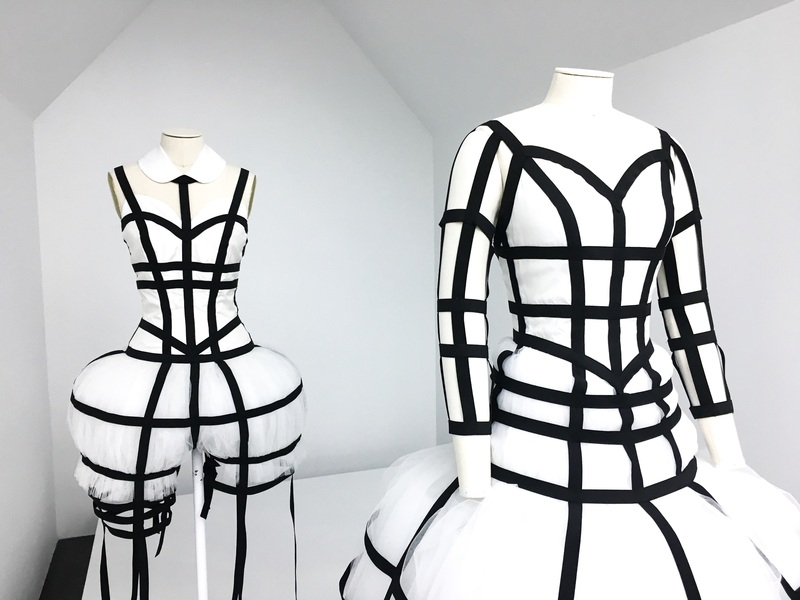 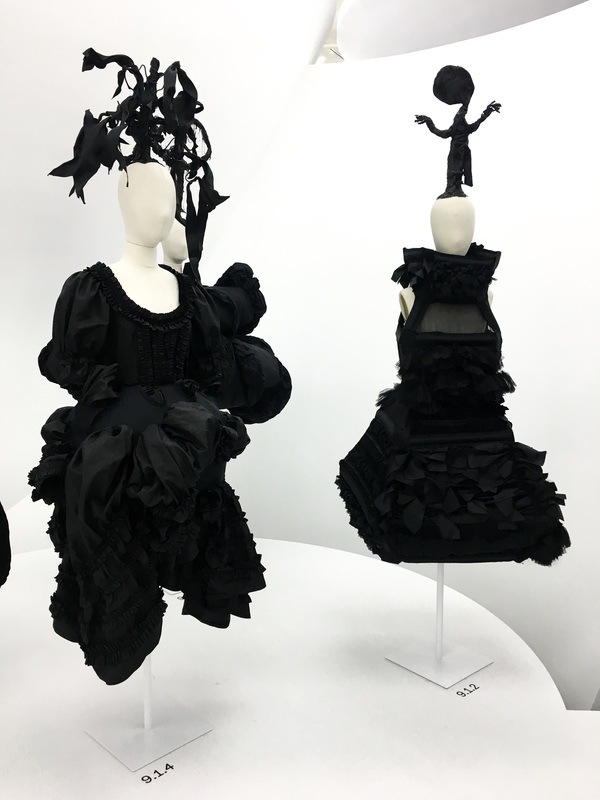 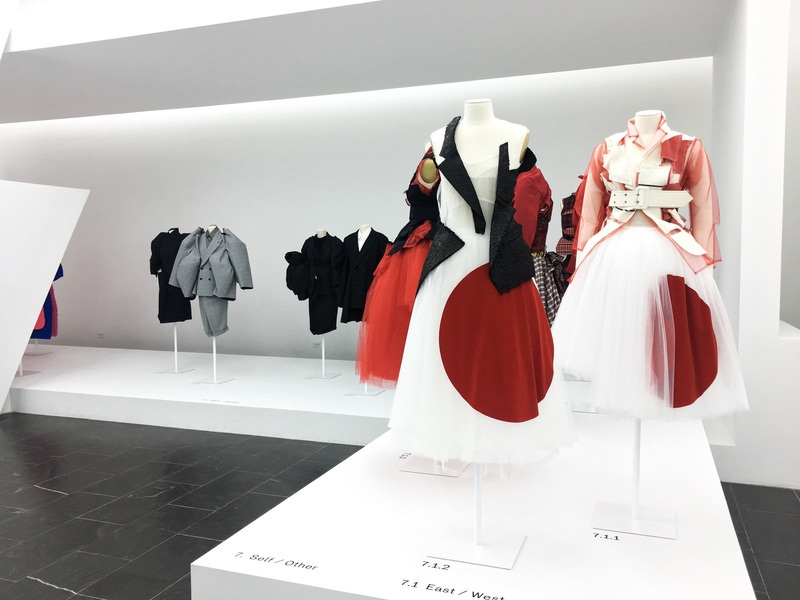 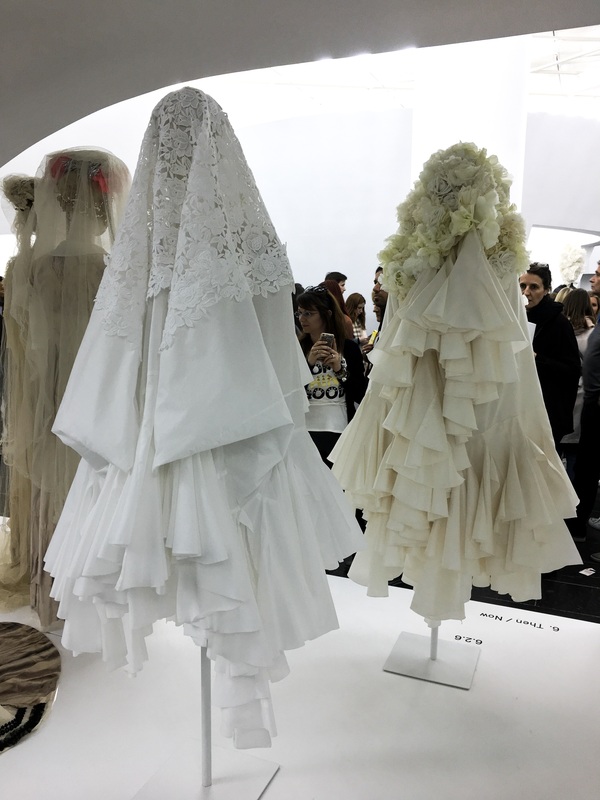 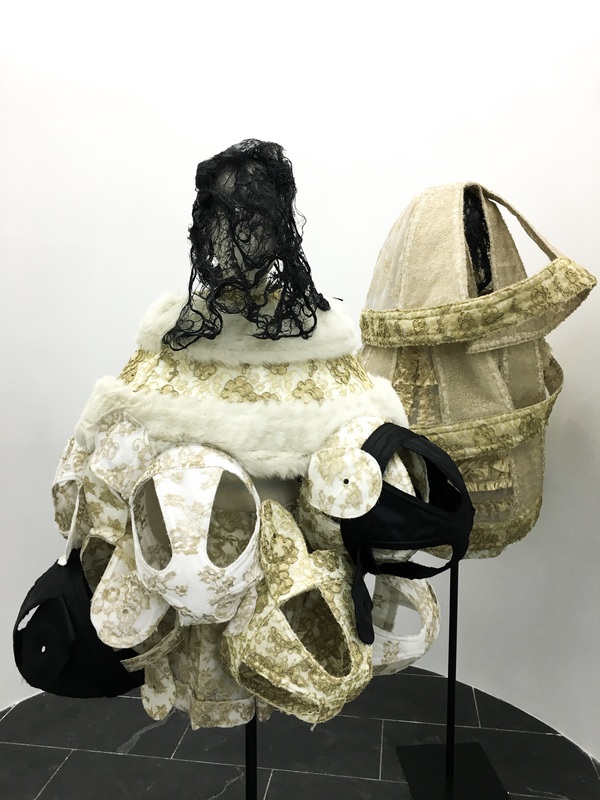 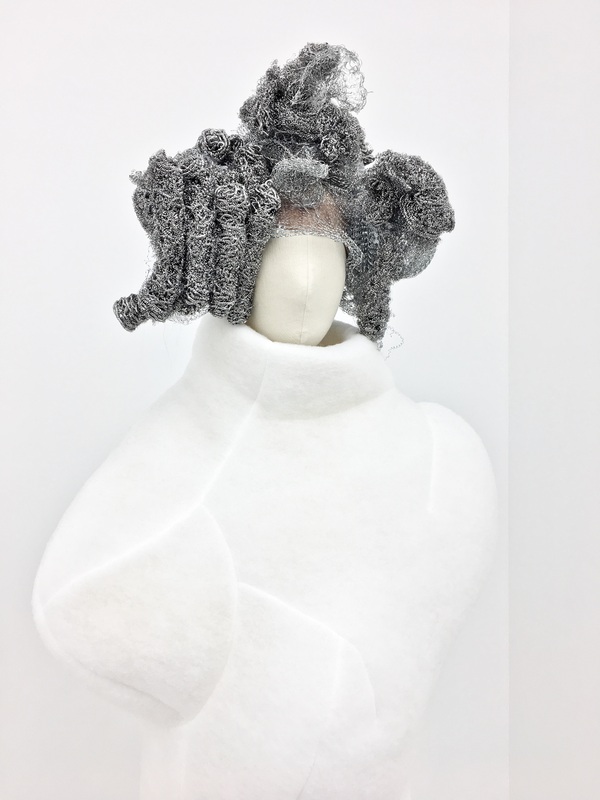 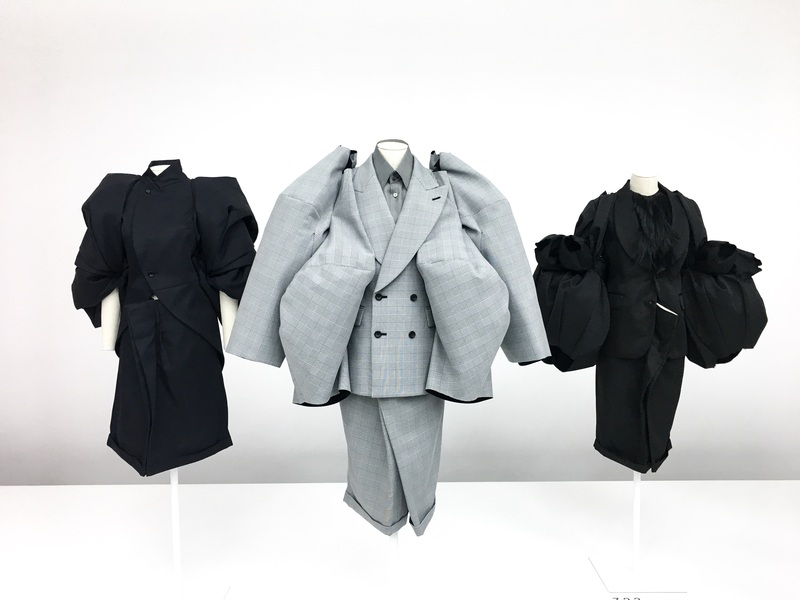 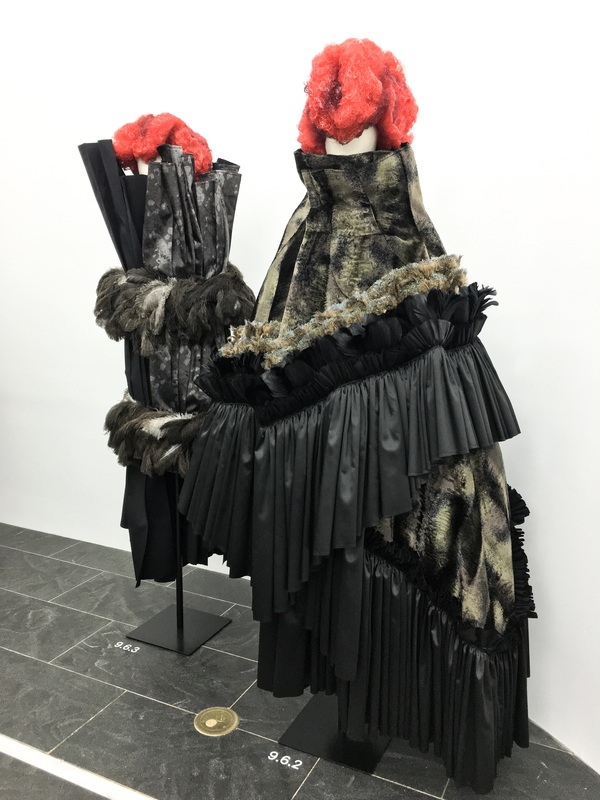 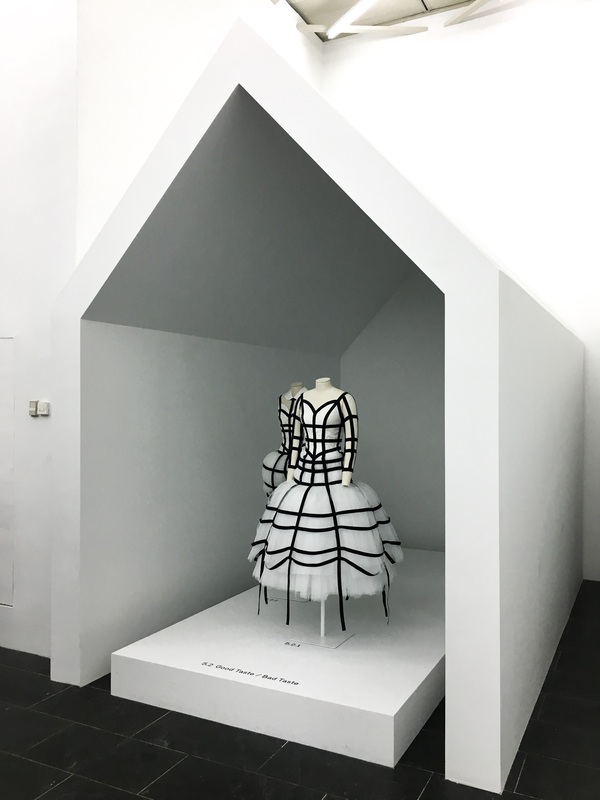 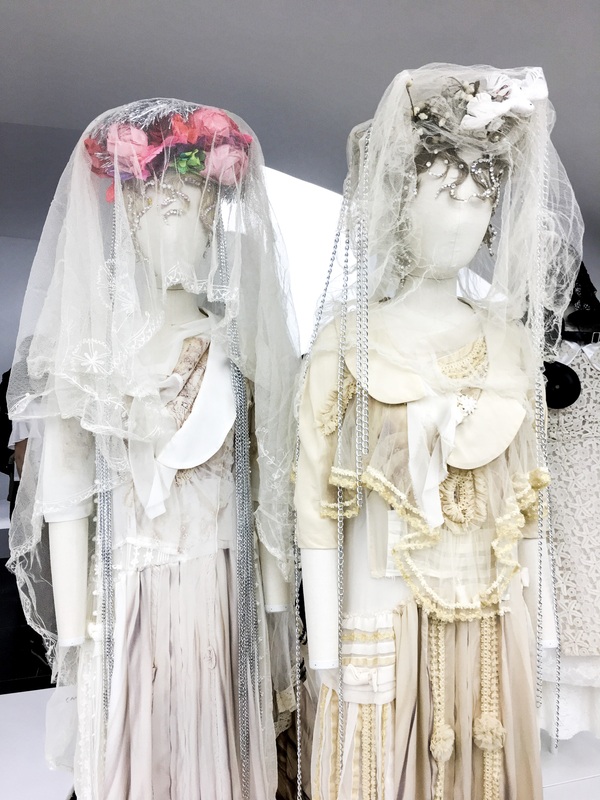 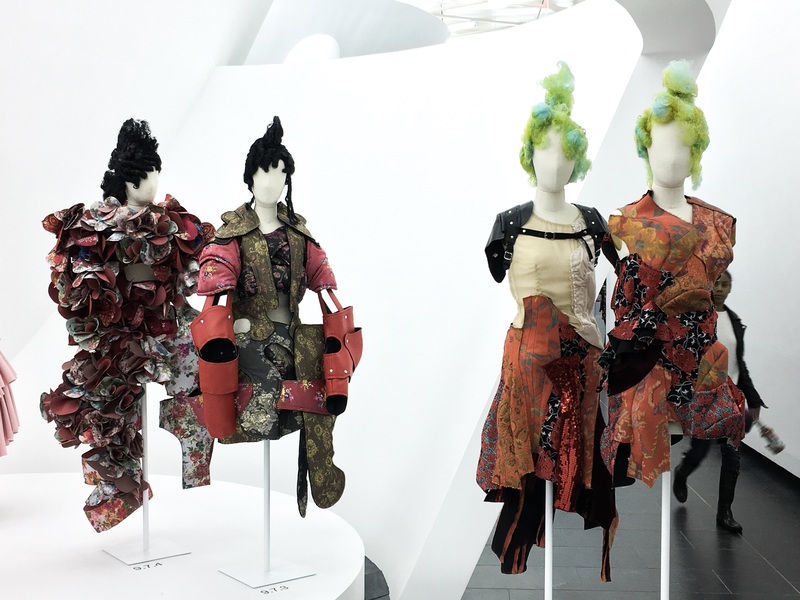 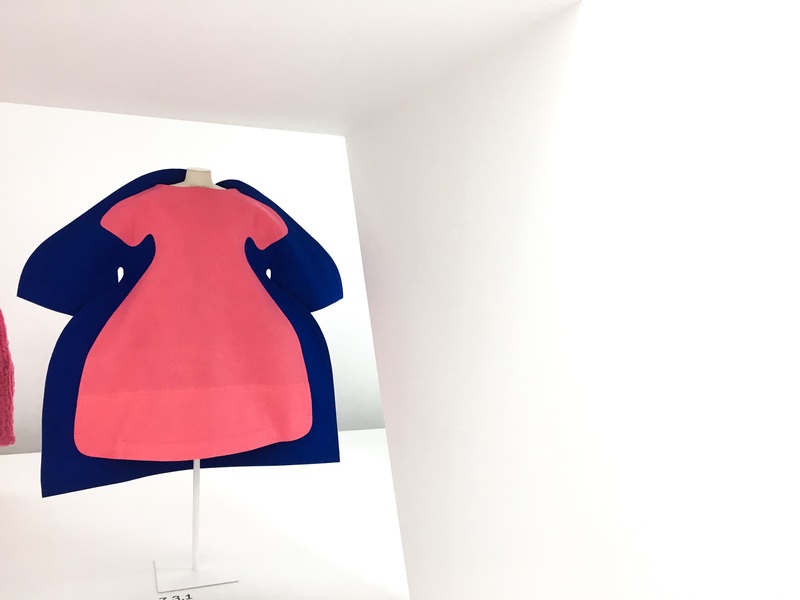 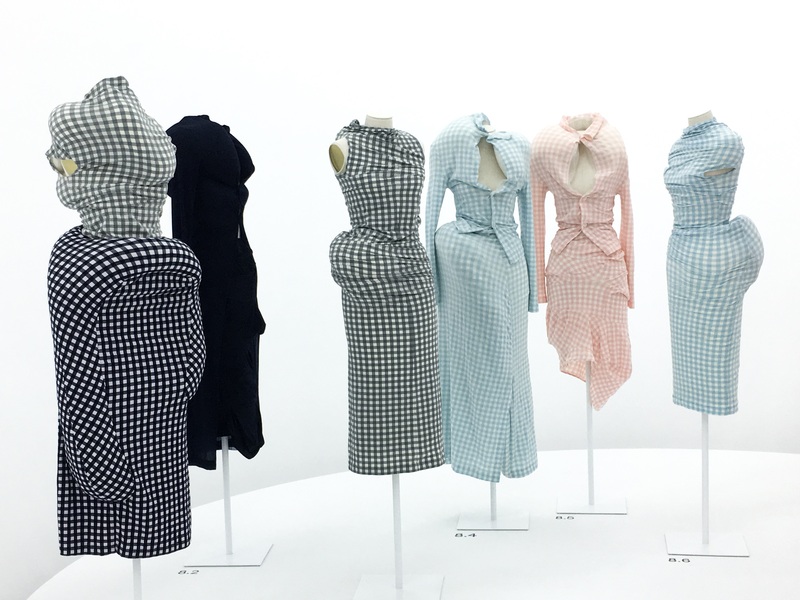 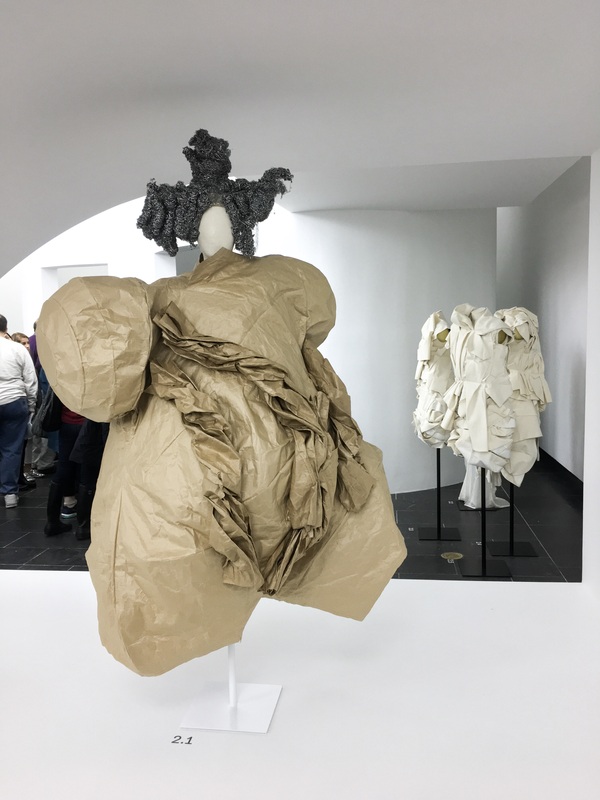 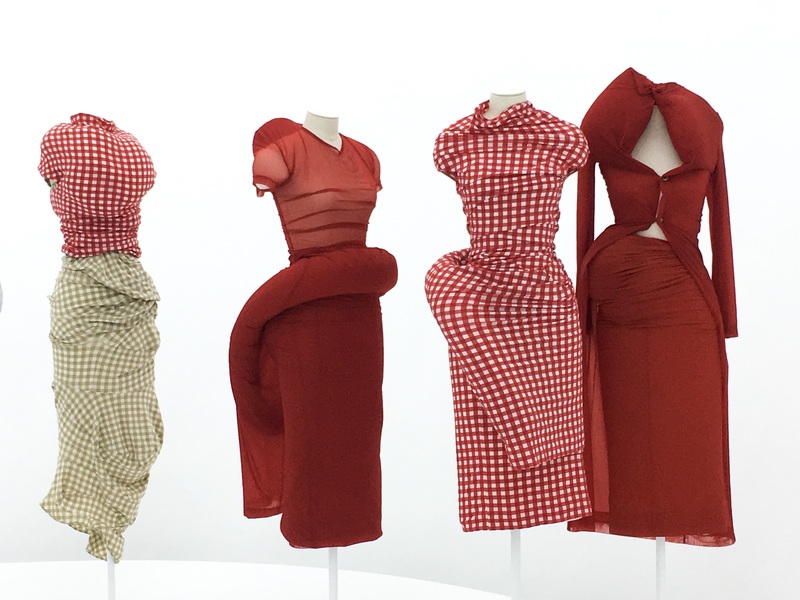 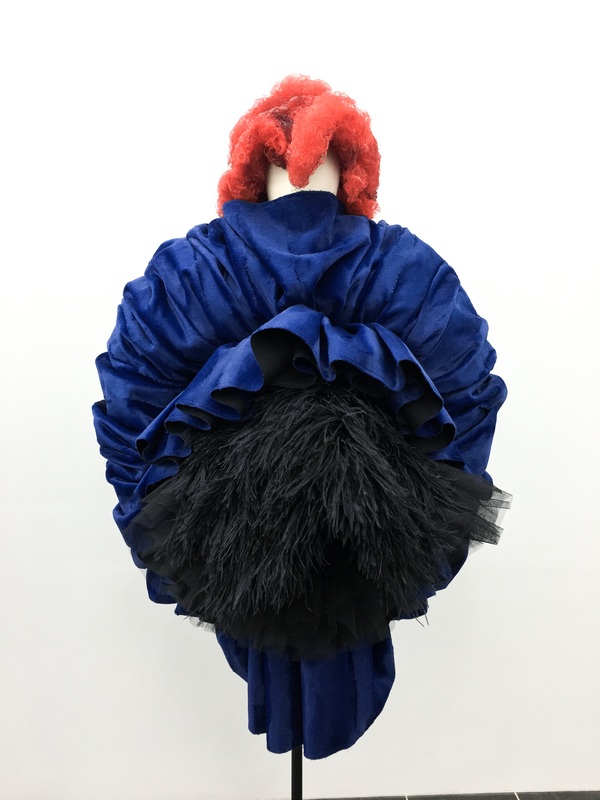 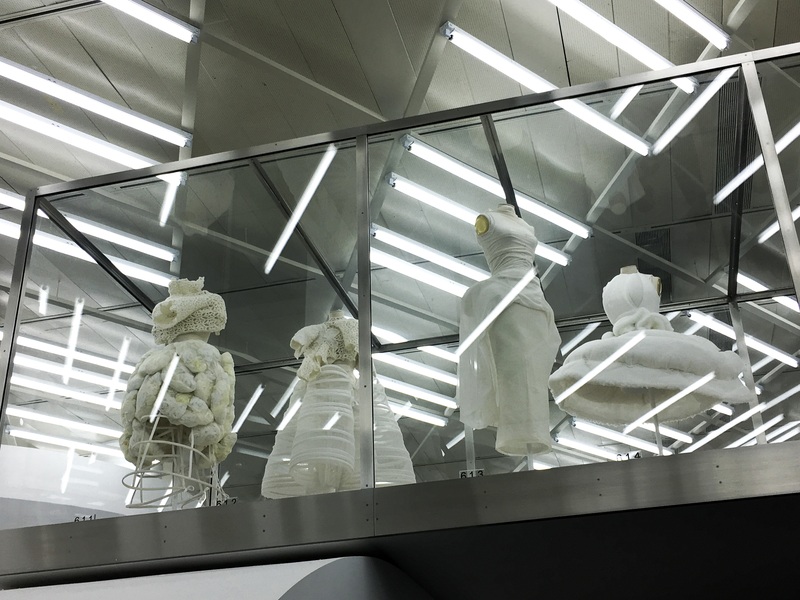 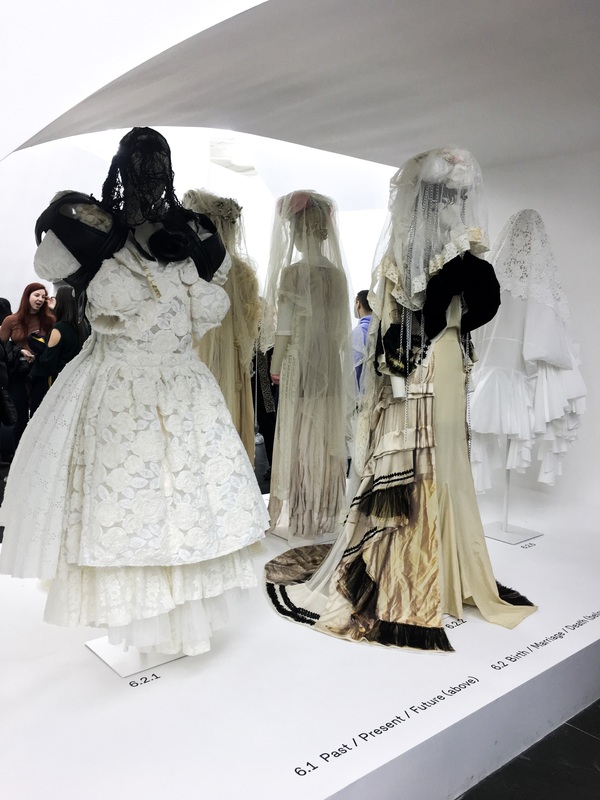 The concept of “in-betweenness” is reflected in the design of this exhibition —a collaboration between Kawakubo and The Met. 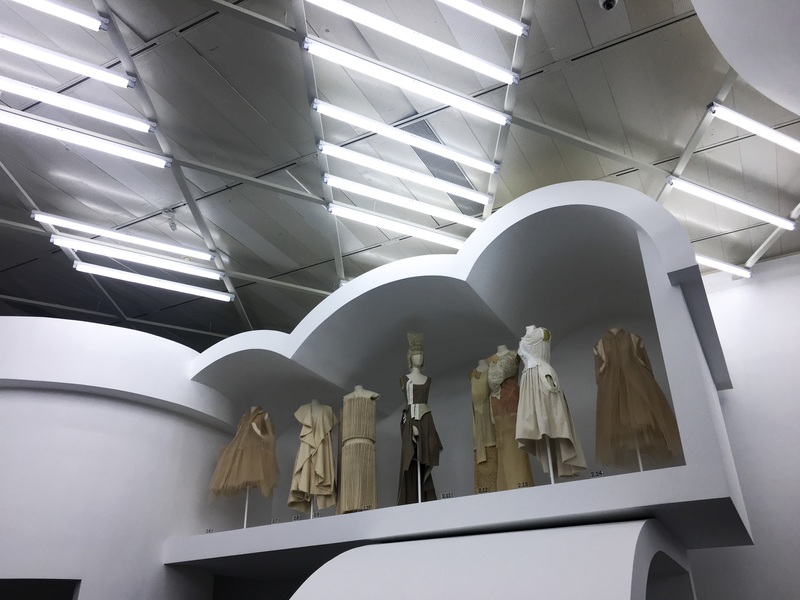 Mu (emptiness) is suggested through the architectural leitmotif of the circle, which in Zen Buddhism symbolizes the void, and ma (space) is evoked through the inter – play of structural forms. 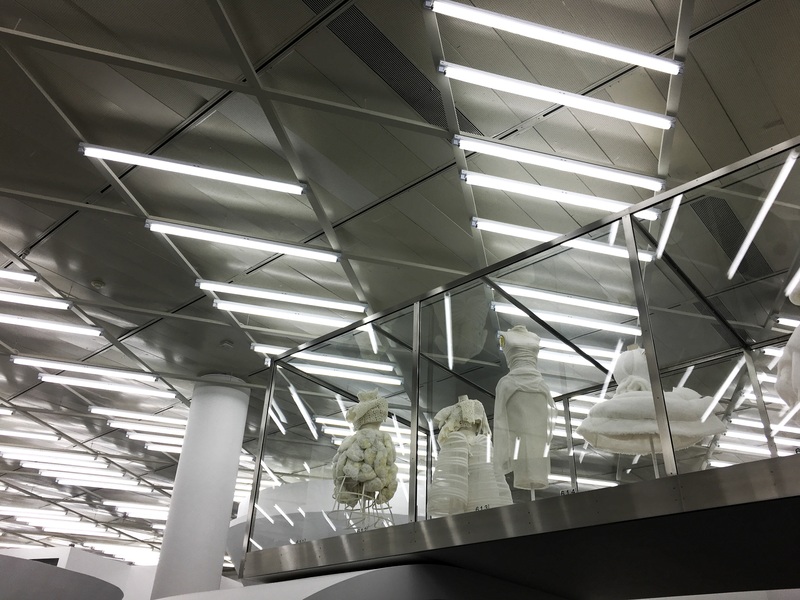 Ma expresses void as well as volume, a thing with and without shape —not defined by concrete boundaries. 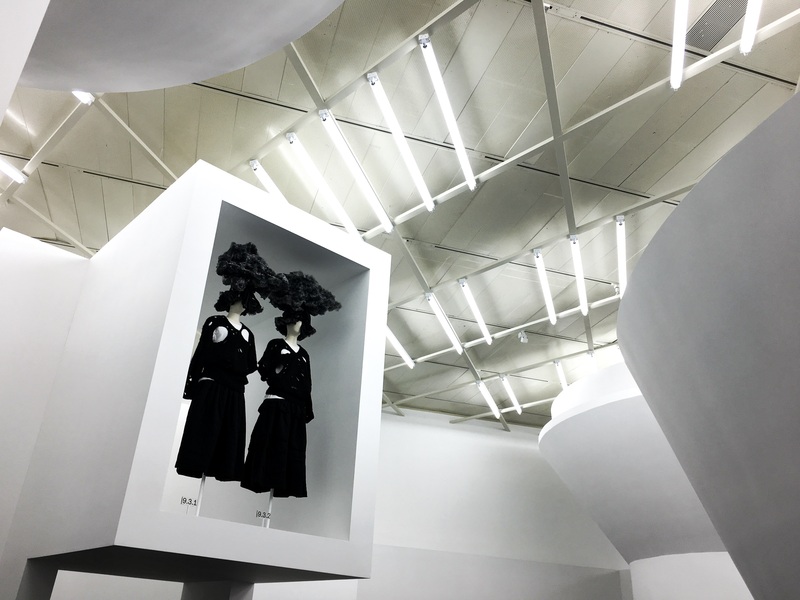 Amplified by the stark whiteness of the gallery surfaces, the visual effect is one of both absence and presence. 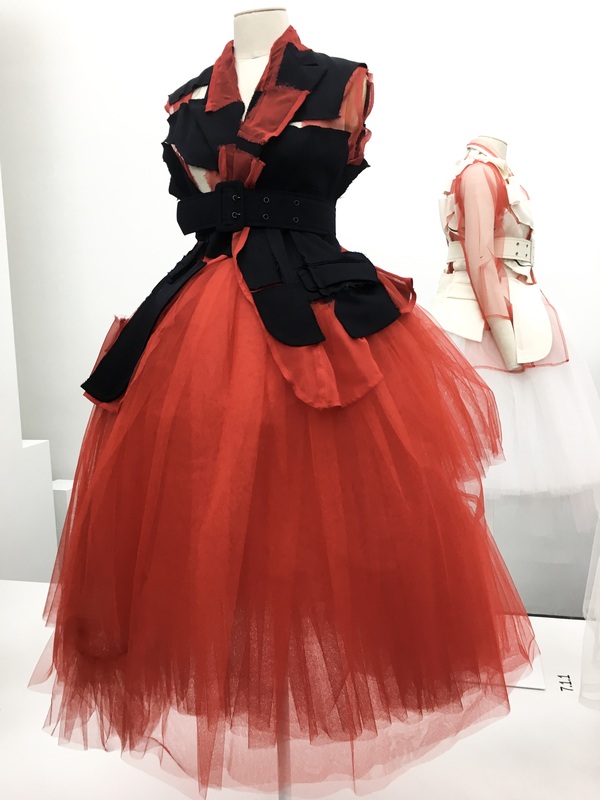 I couldn’t miss the opportunity to visit The Met in early May, enjoy the day browsing around this breathtaking exhibition, and, of course, take pictures.